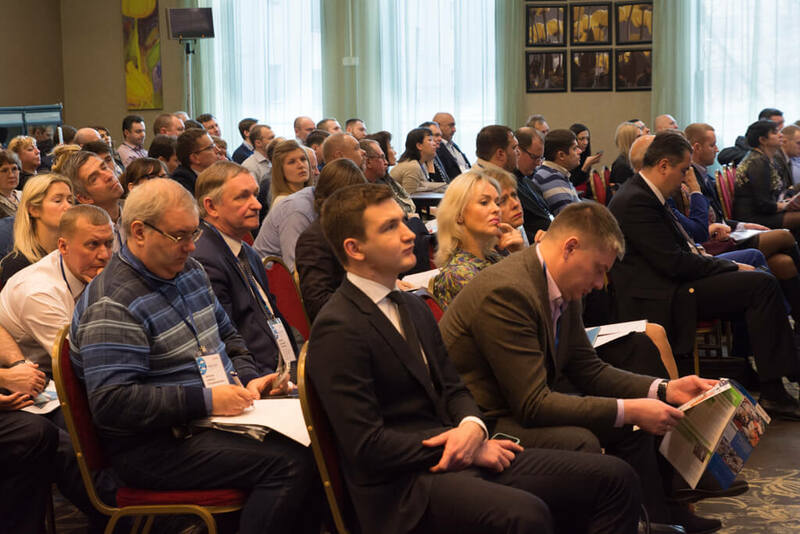 For the second time heads of companies leading its activities in aquaculture shere (fish farming), fish and seafood processing companies, logistics companies, retail chains, specialized institutions, research institutes and associations will meet together within this event. 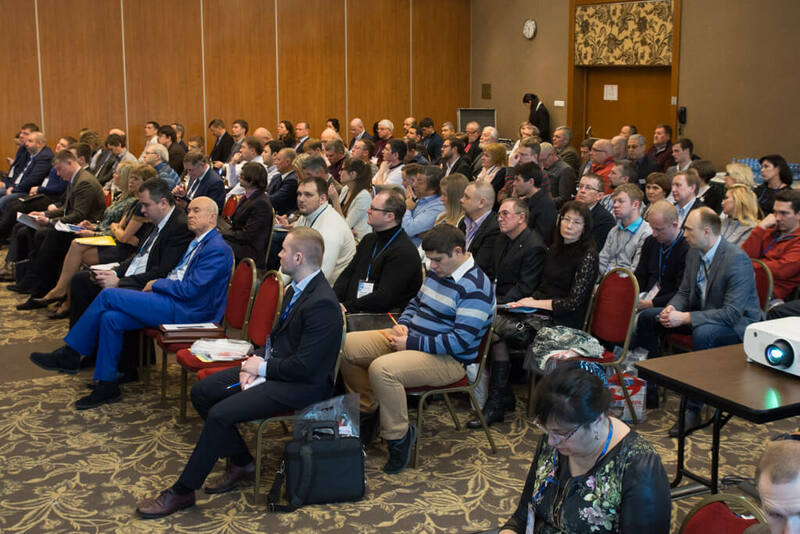 Около 20 лет в должности заведующего лабораторией возглавляет одно из ведущих направлений технологических работ, проводимых институтом, – научное обоснование и разработка технологических процессов производства соленой, копченой, вяленой, продукции, кулинарии длительных сроков хранения и др. 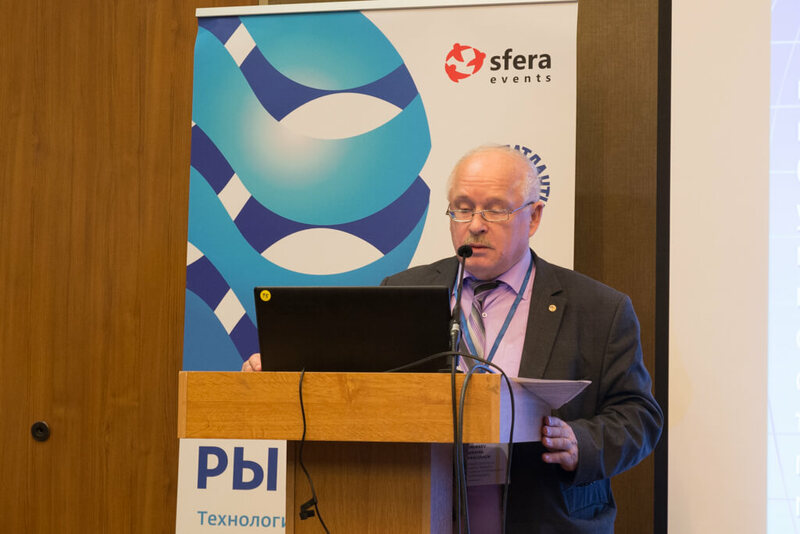 Over 20 years he’s been holding a head of laboratory position and been taking a lead of one of the leading directions of technological works conducted by the Institute, – scientific substantiation and elaboration of technological processes of salted, smoked and dried goods production, extended storage period of cookery e.t.c. 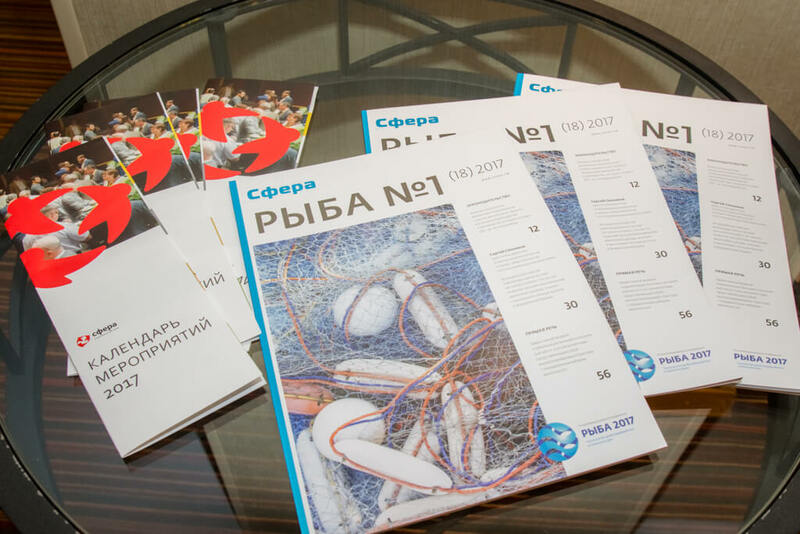 С 2007 г. Генеральный директор ООО “Альянс Восток-Запад”. 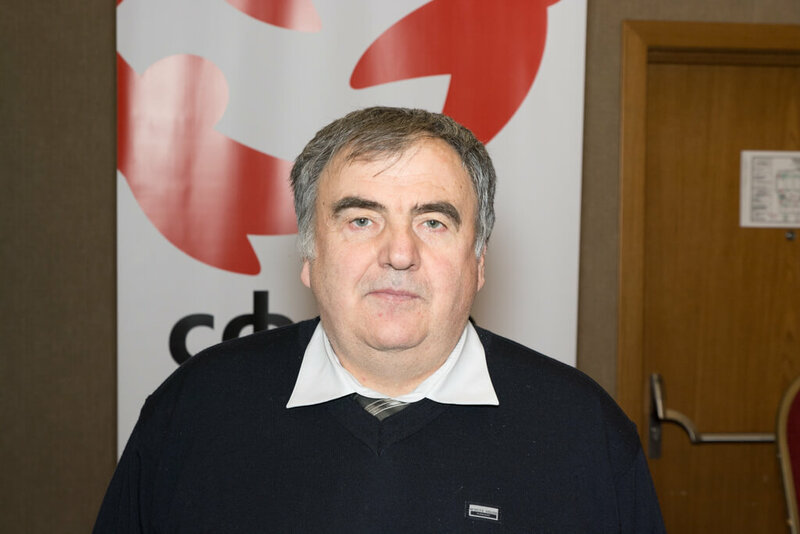 В 1979 году закончил Орехово-Зуевский педагогический институт, химико – биологический факультет. 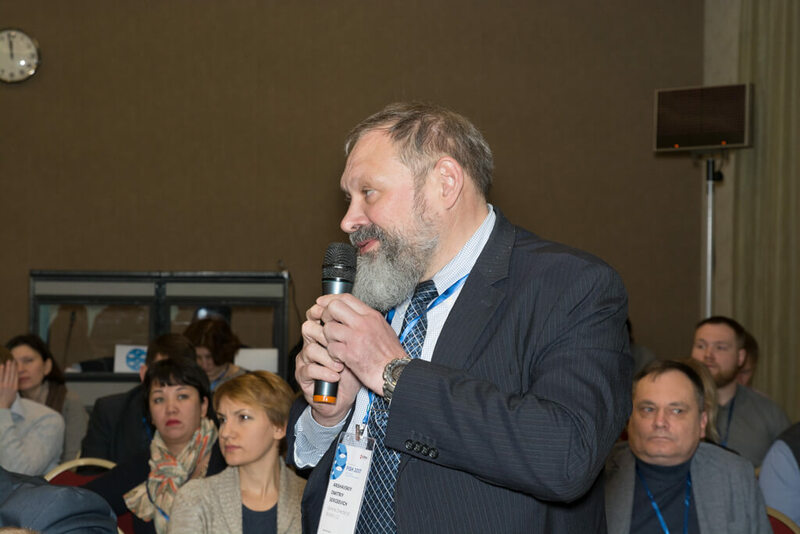 In 1979 graduated from Orekhovo-Zuevo Pedagogical Institute, chemical – biological faculty. 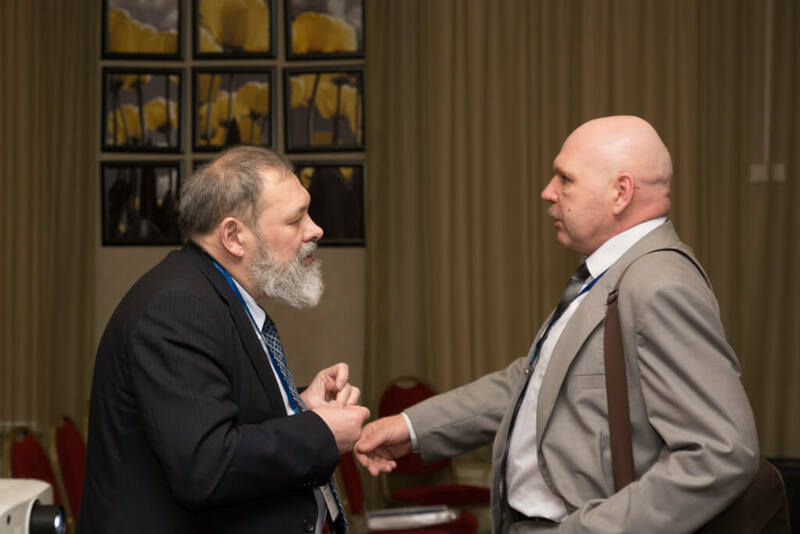 From 1981 to 1982 – Soviet army, cosmic radio reconnaissance troops. 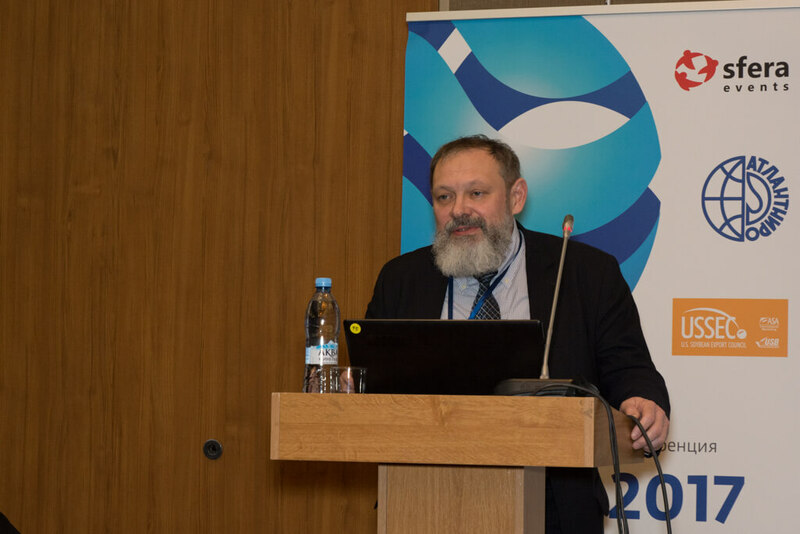 Defended his PhD thesis in 2000 “Improving reproductive technology of peled”. 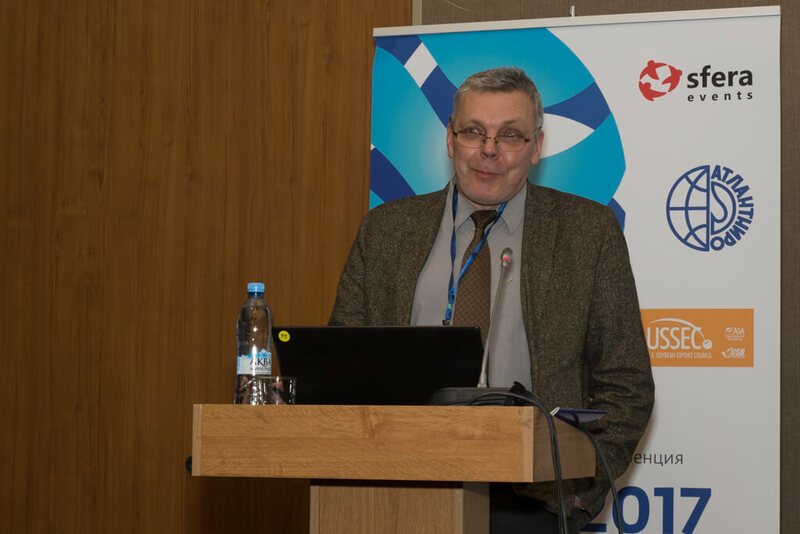 During the period of scientific work Yuriy Lvov has published more than 60 publications, 2 textbooks for students, patented 2 inventions and 2 know-how on the basis of which small innovative enterprises have been set up., He also was awarded the gold and silver medals on the competitive programs of Russian Exhibition “Golden Autumn”. 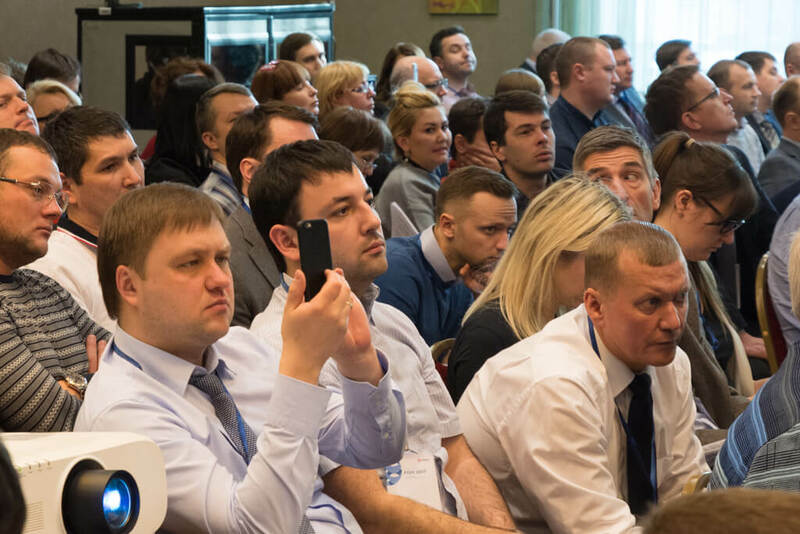 Мы работаем для тех, чья профессия – проникать в тайны мельчайших различий химического состава. 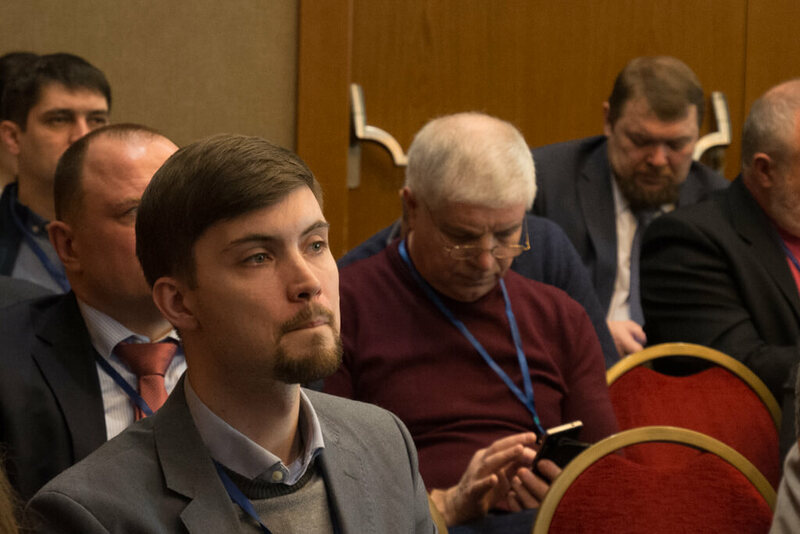 Для них мы создаем методики анализа и разрабатываем новые и оригинальные инструменты. 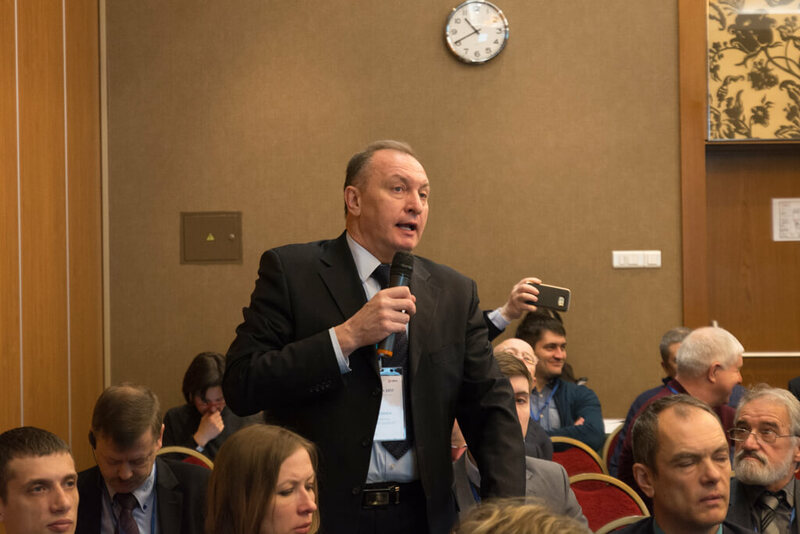 Вместе с ними мы движемся к постижению не только тайн аналитики, но и секретов успешного труда, преодоления трудностей, партнерства, дружбы, развития, а иногда – и более глубоких тайн. 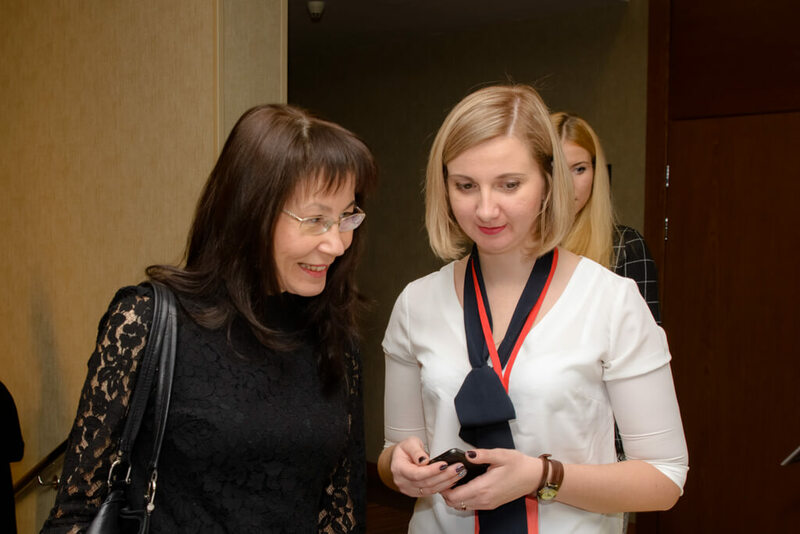 She was born in 1962. 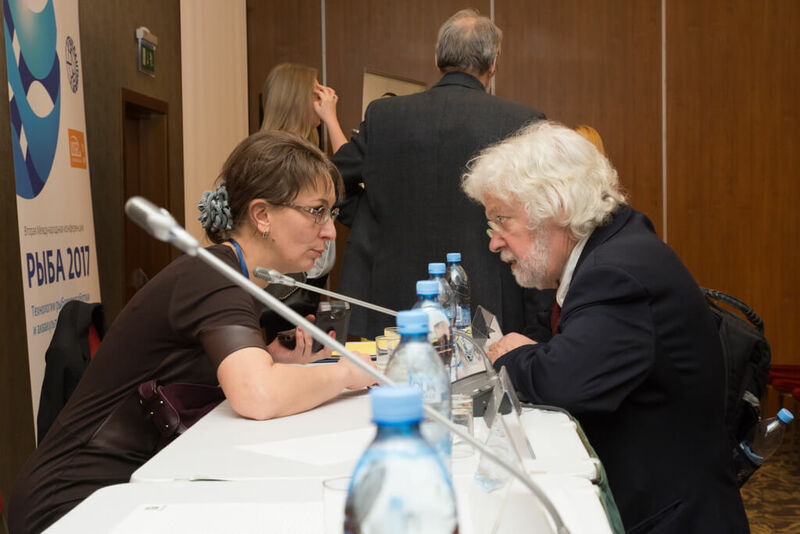 She graduated from the Moscow Veterinary Academy named by Scriabin (1985). 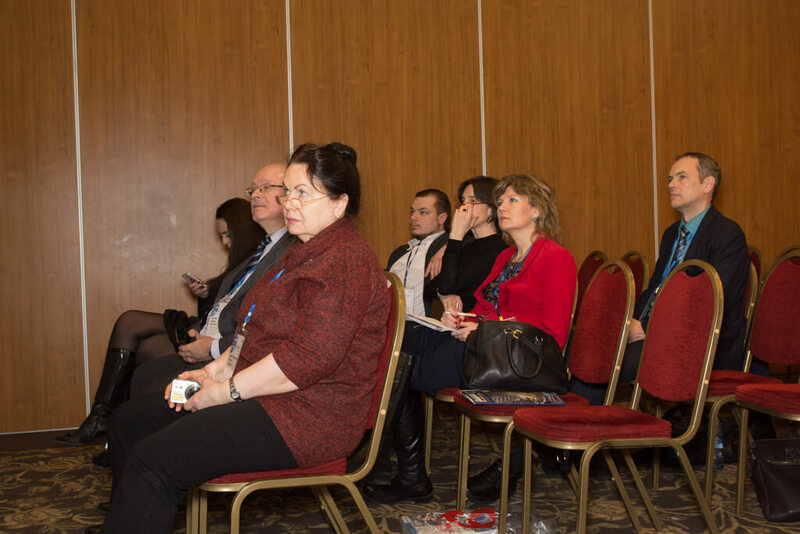 She was trained in correspondence postgraduate study (1985-1990). 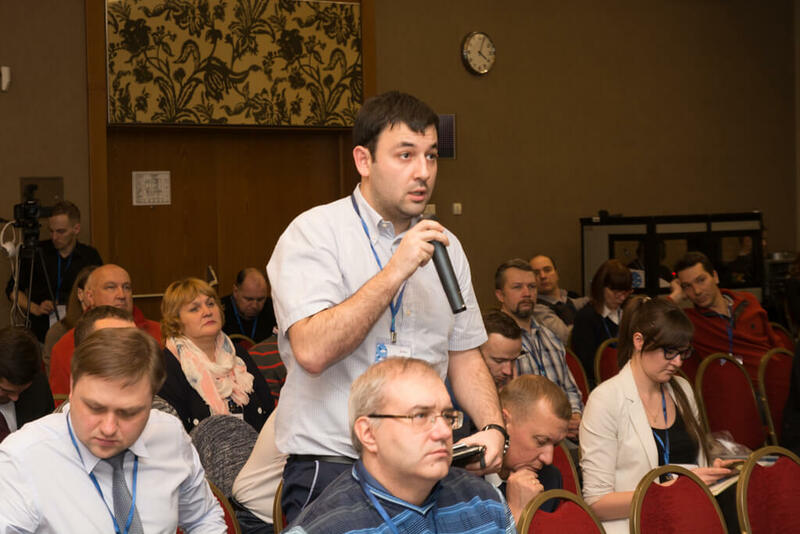 Working in the Research and Production Association for the agricultural use of sewage “Progress”. 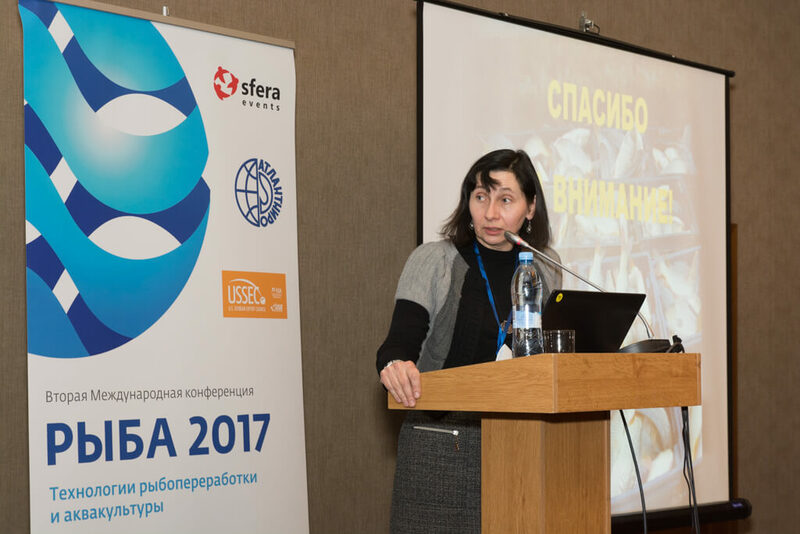 In 1991 she defended a thesis of the candidate of veterinary sciences on the topic «Animal toxicological assessment of feed products grown in wastewater irrigated pulp and paper factory». 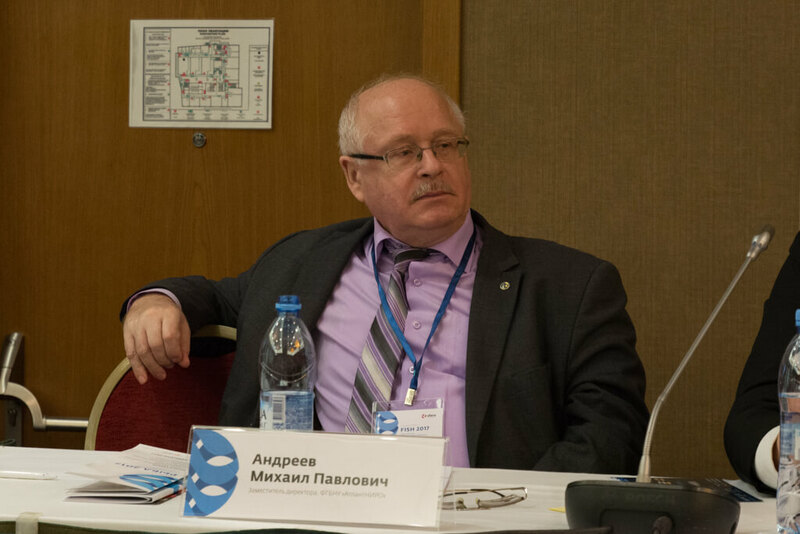 In 2013 he worked in OJSC Moscow company as the chief veterinarian. 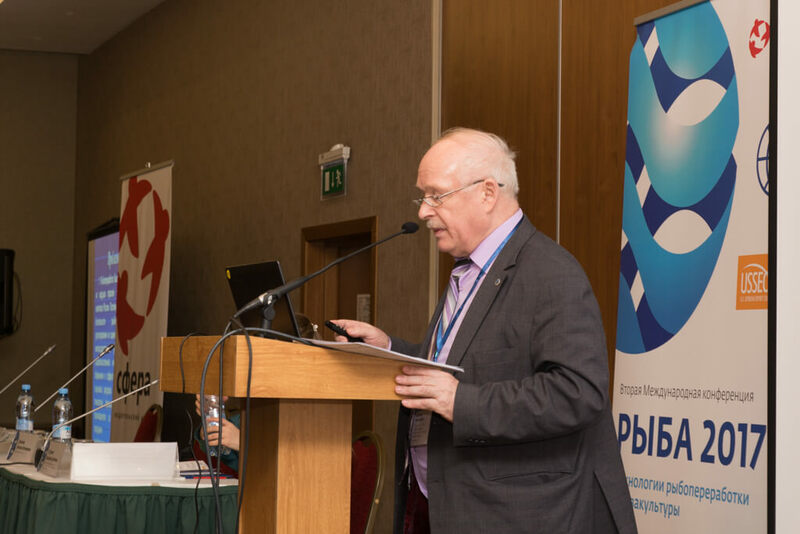 In 2008-2011 – Associate Professor of the Russian State Social University, Russian State Humanitarian University, the Russian Academy of the Humanities. 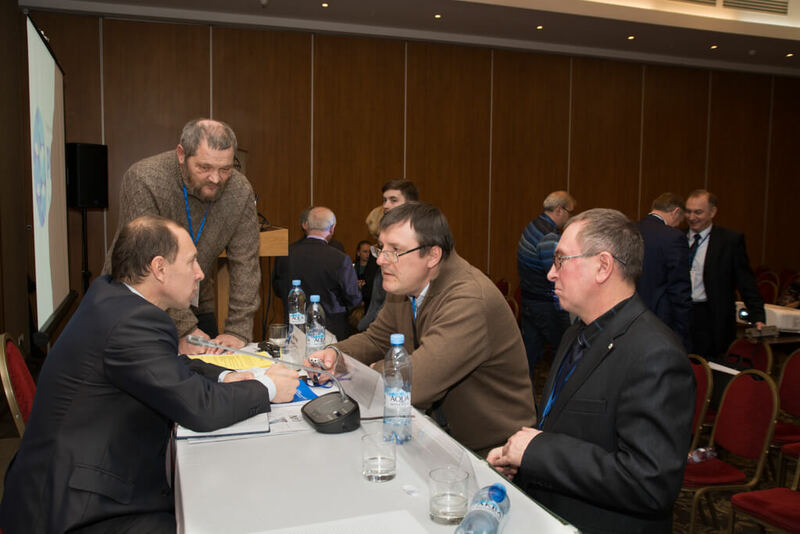 Registration of participants. 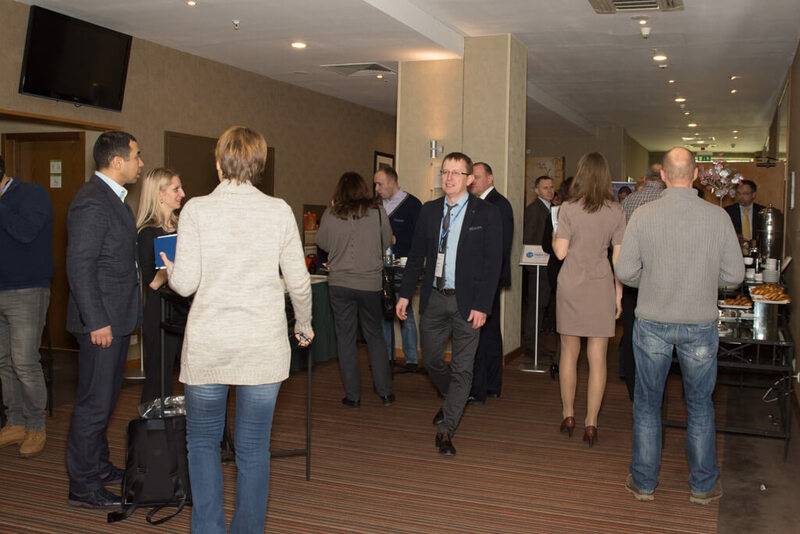 Morning coffee. 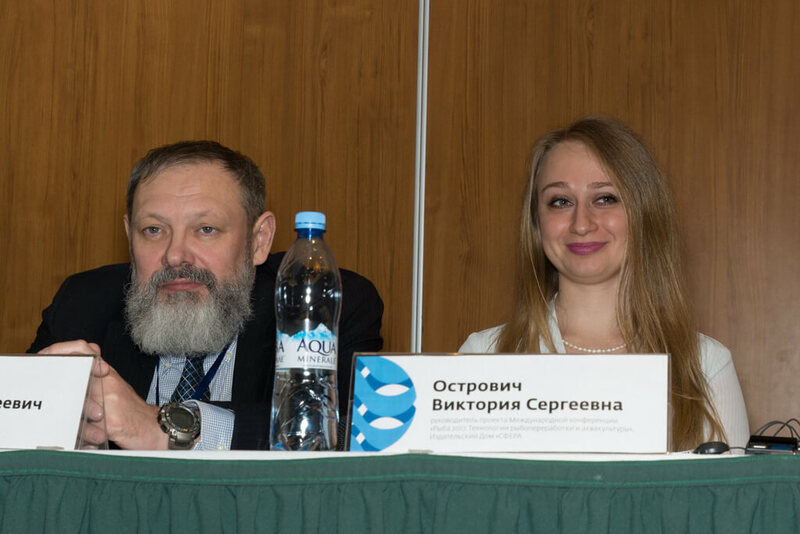 Opening of the Conference «FISH-2017. 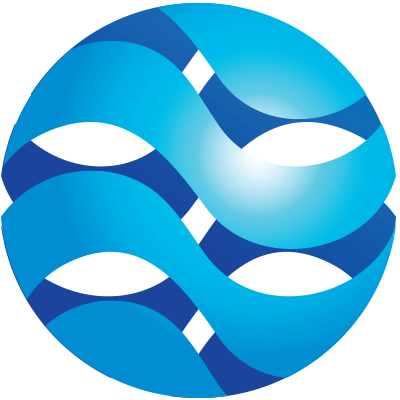 Fish Processing and Aquaculture Technologies». 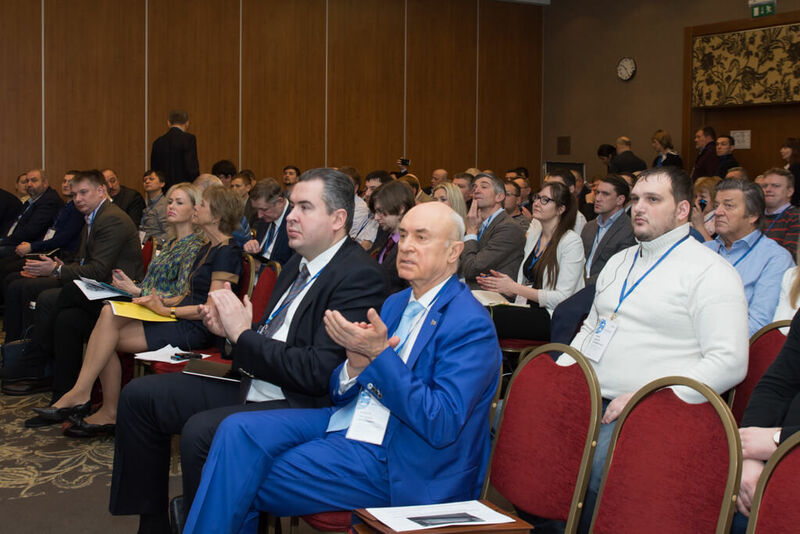 Greetings of the organizers, partners and officials. 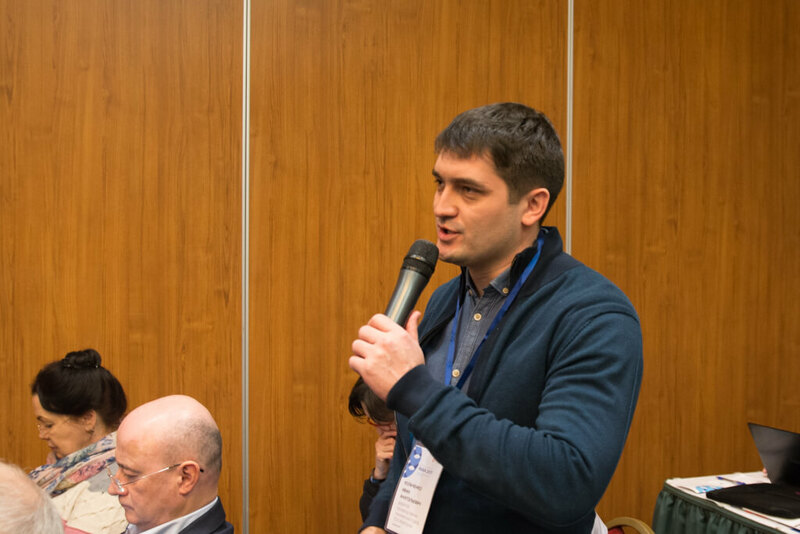 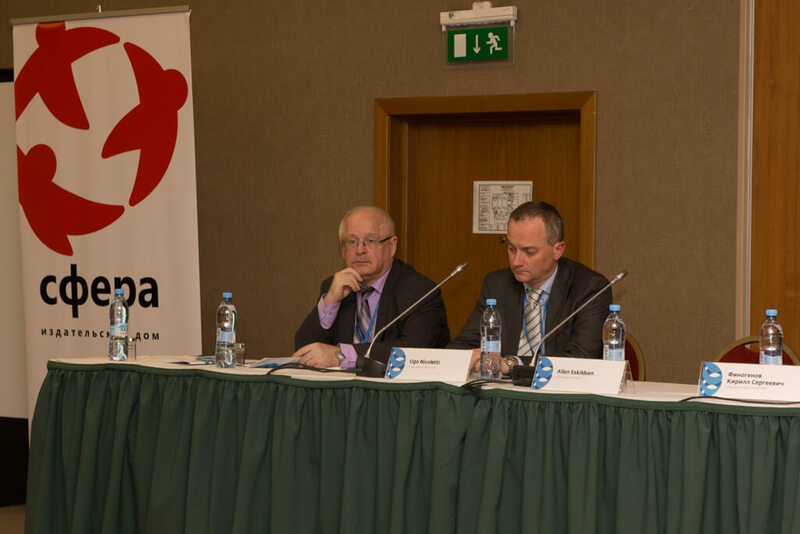 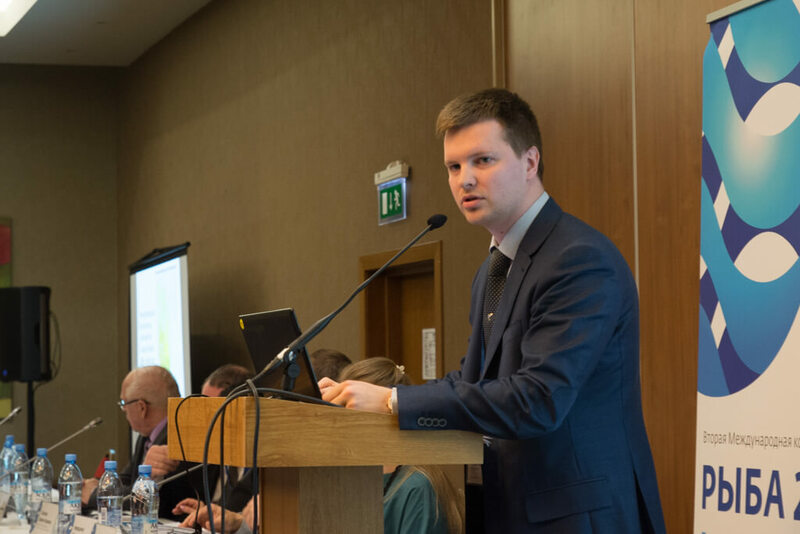 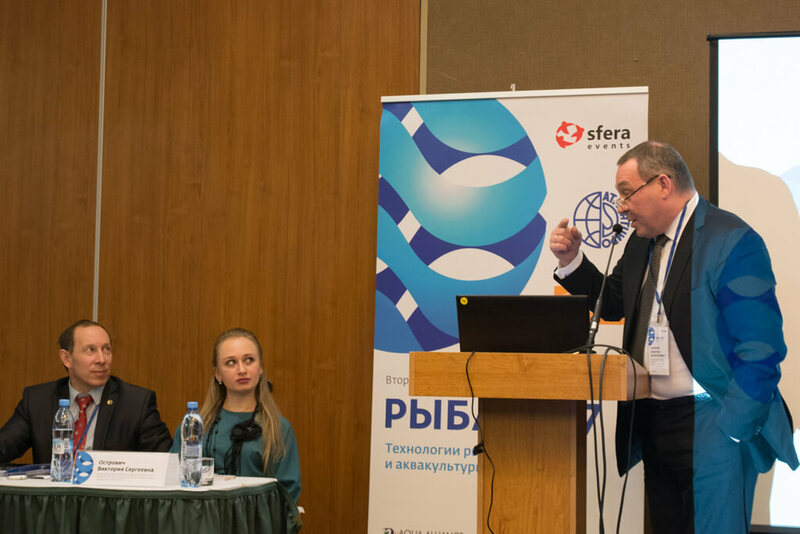 Moderator: Alexandr Nevredinov, The Head of the Eurasian Aquaculture Alliance, Member of the Public Council of the Federal Fisheries Agency, a member of the working group of the Eurasian Economic Commission. 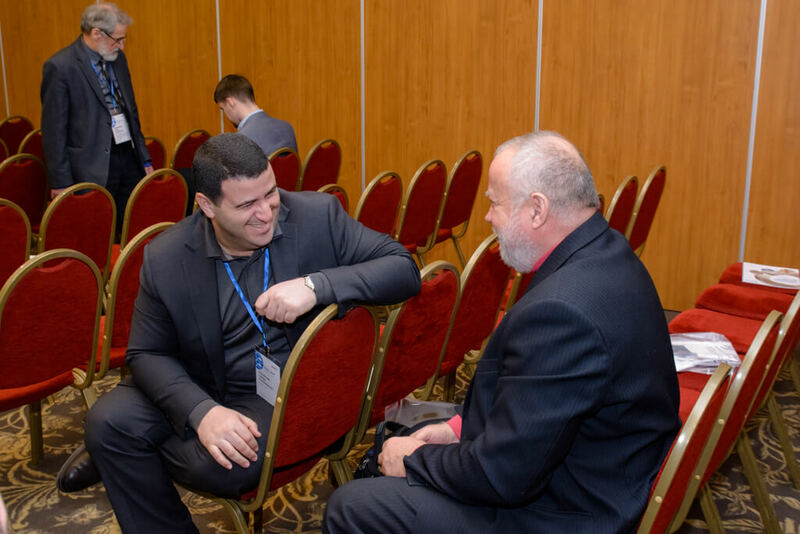 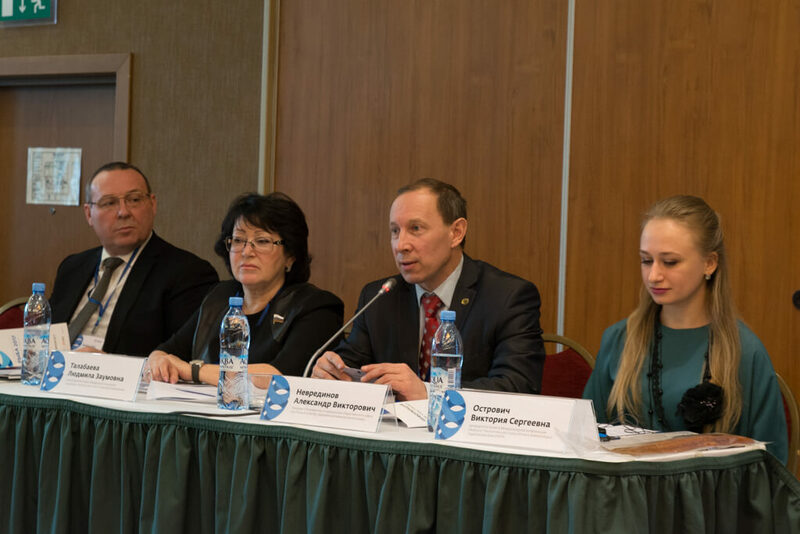 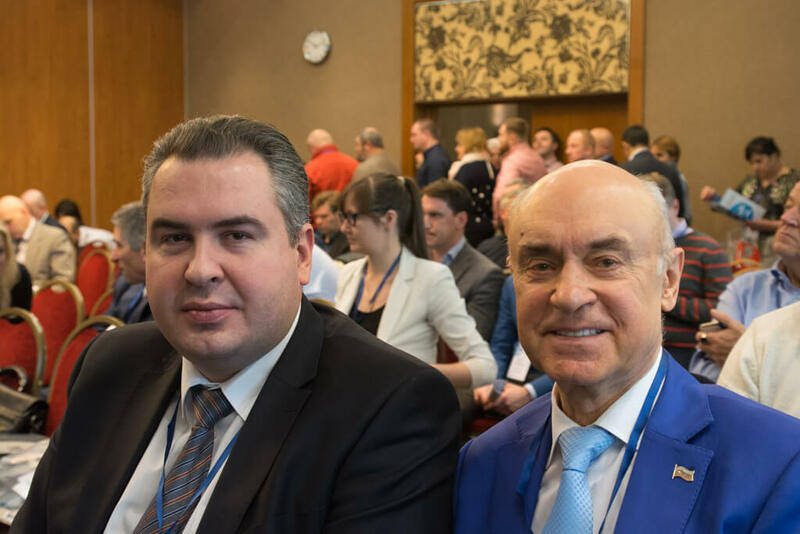 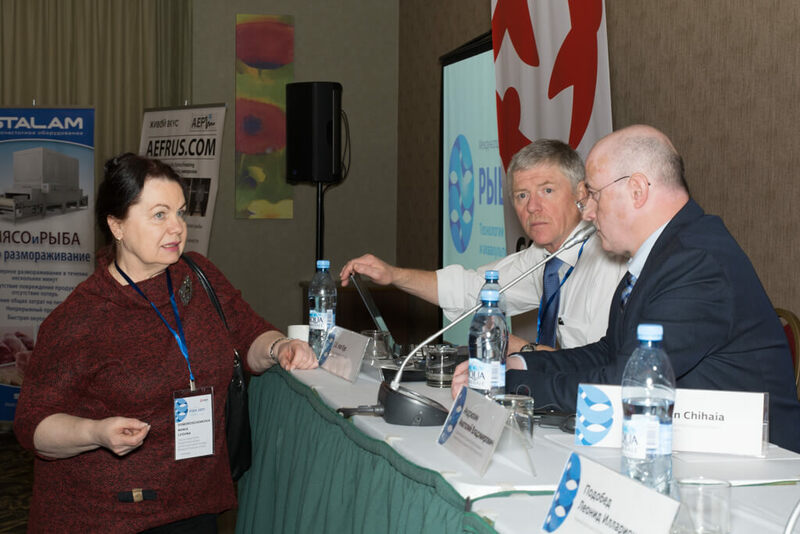 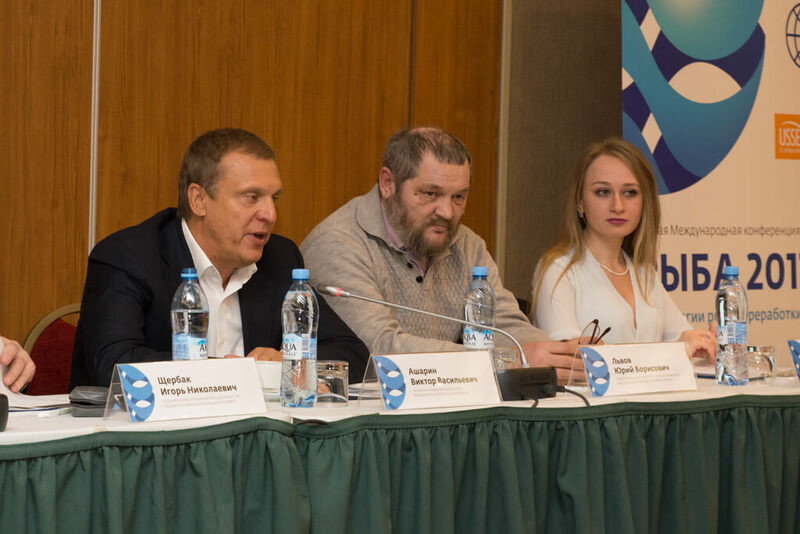 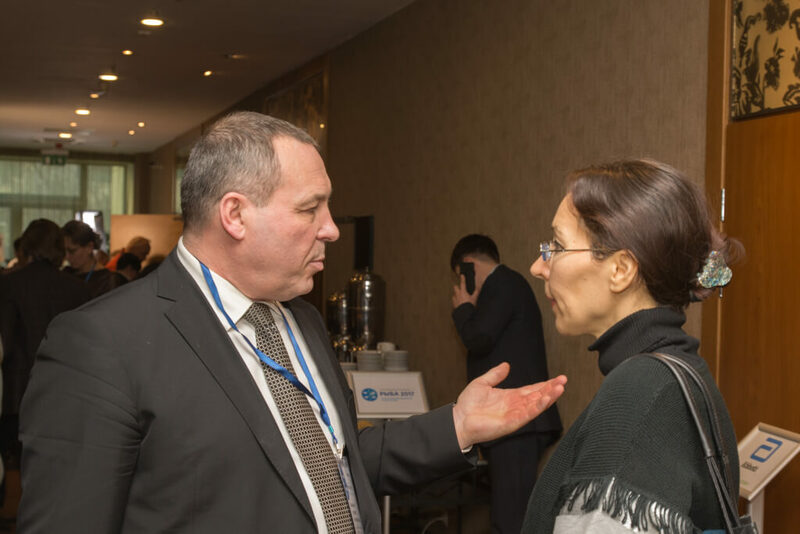 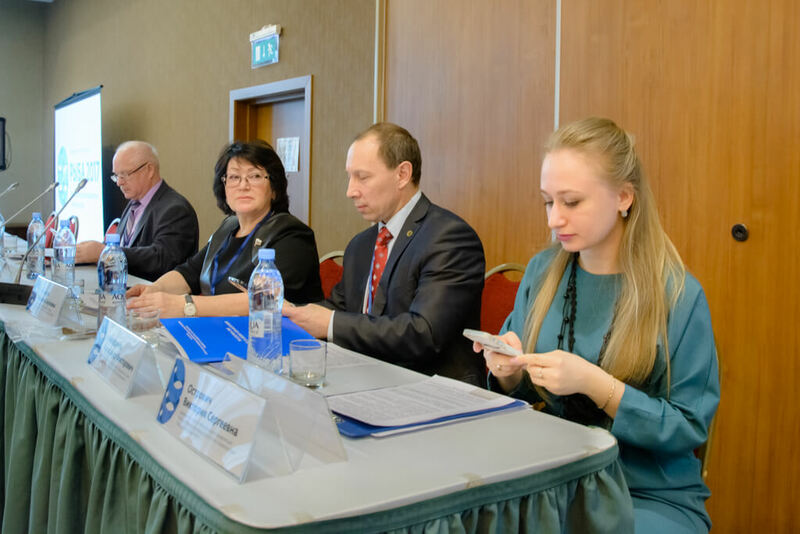 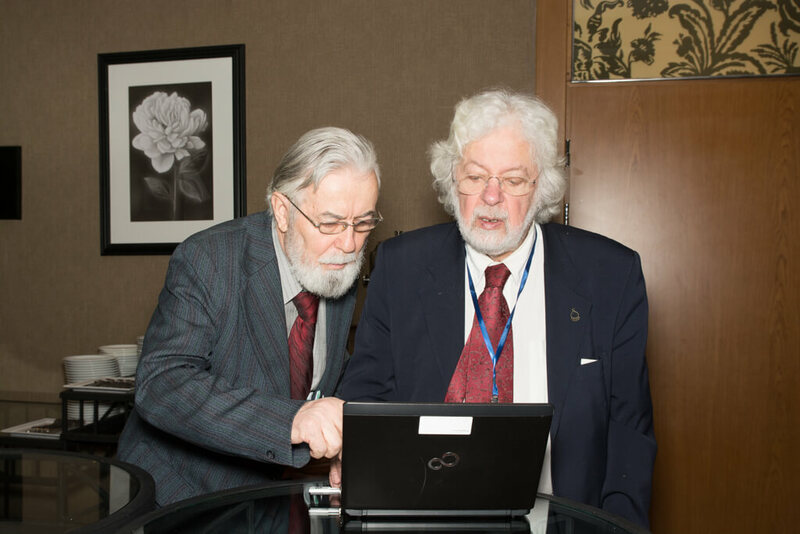 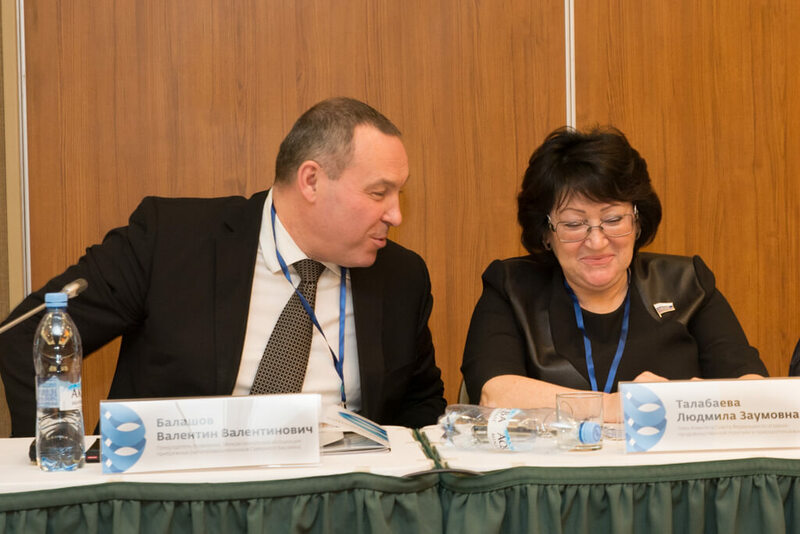 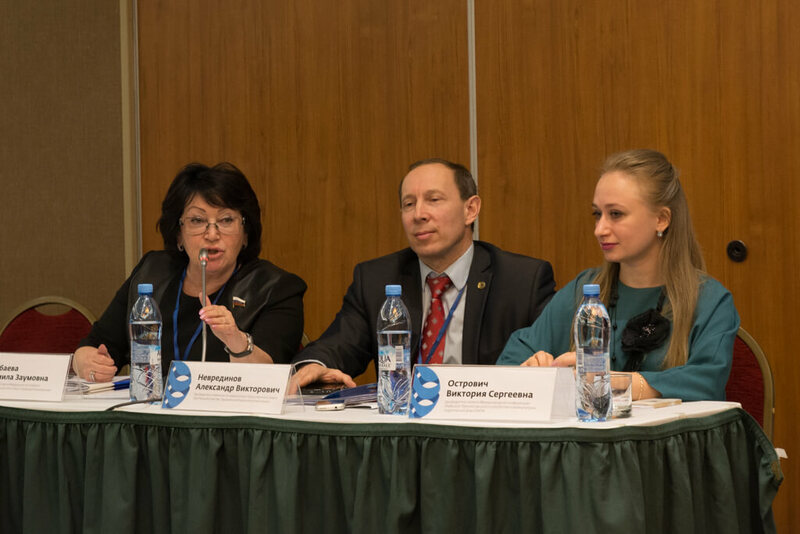 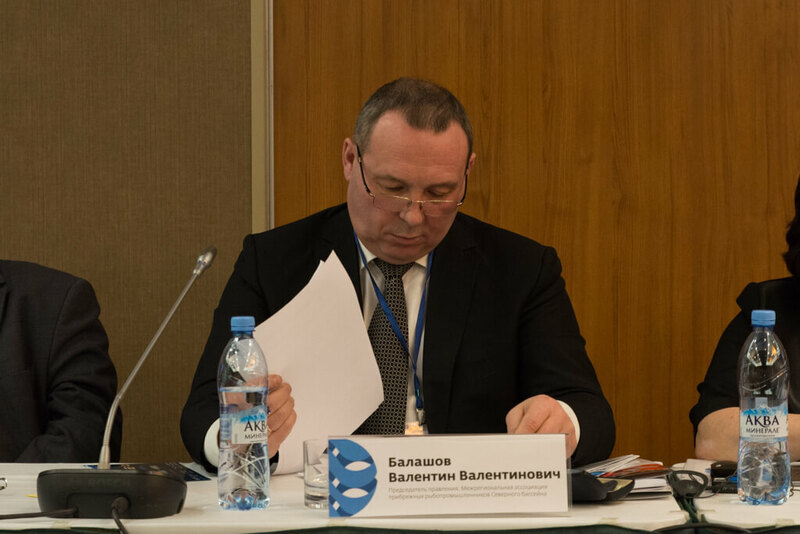 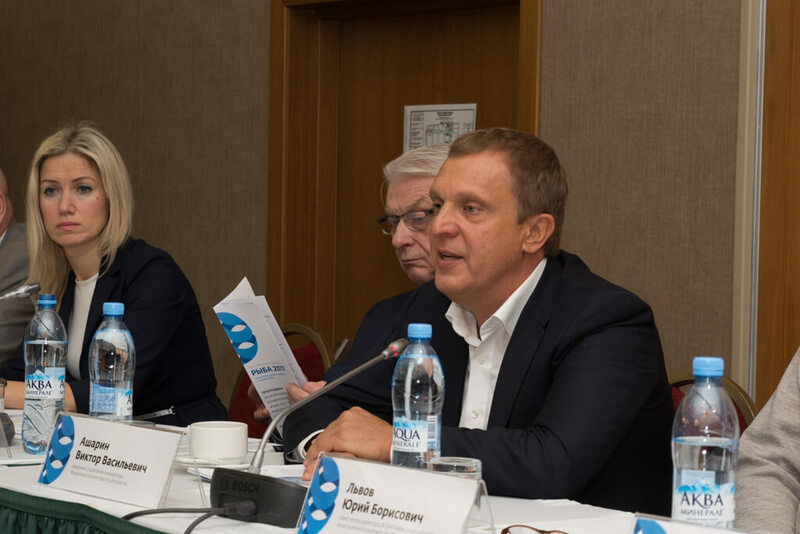 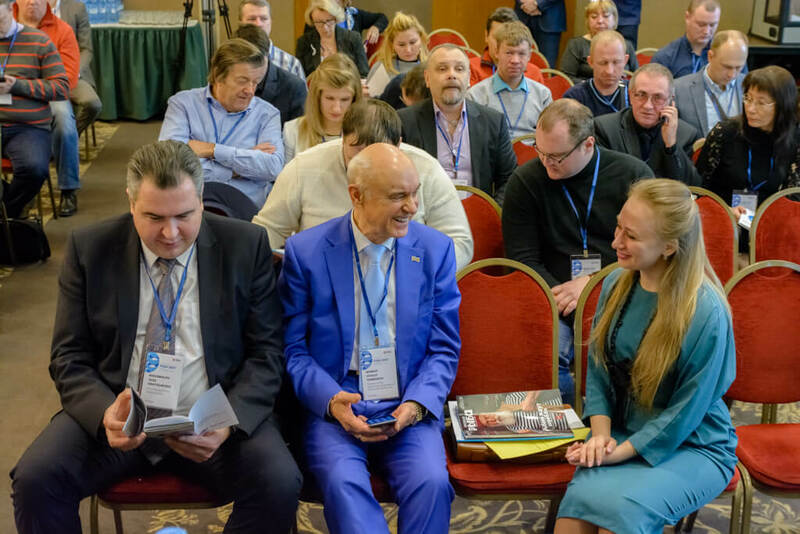 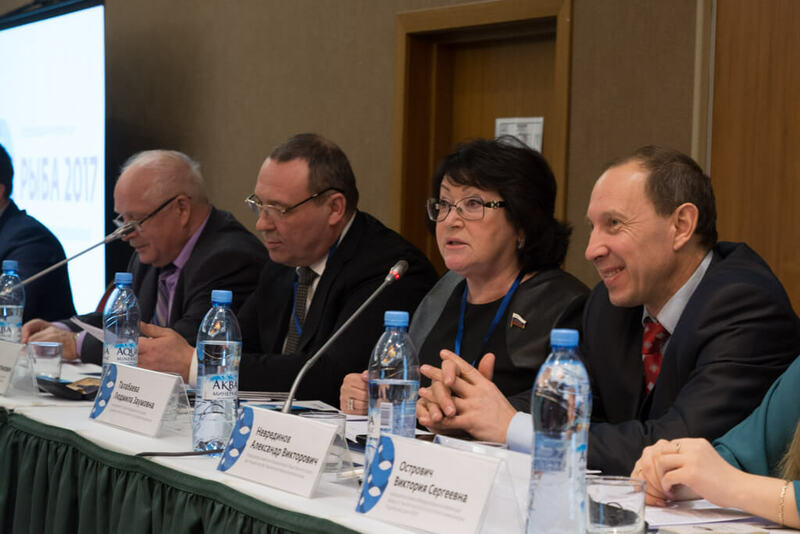 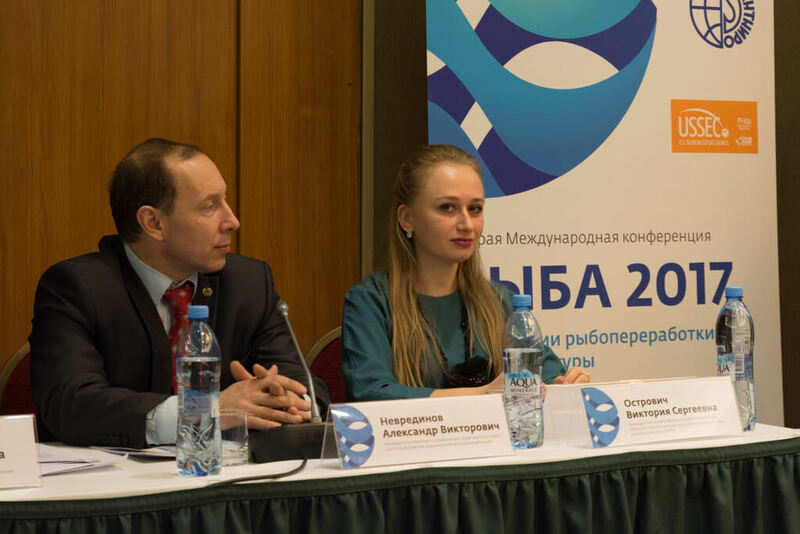 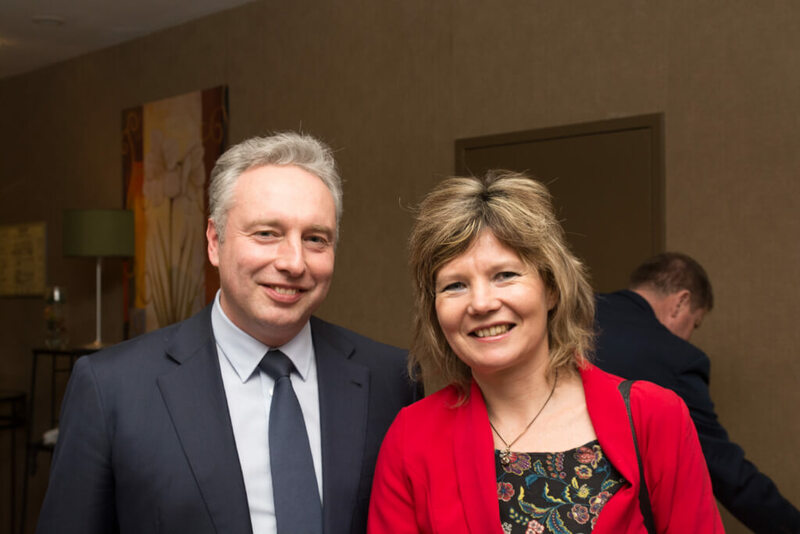 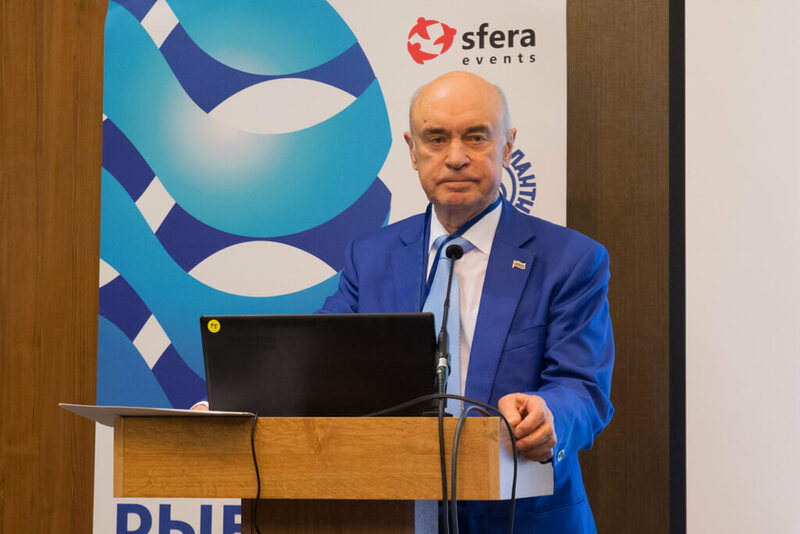 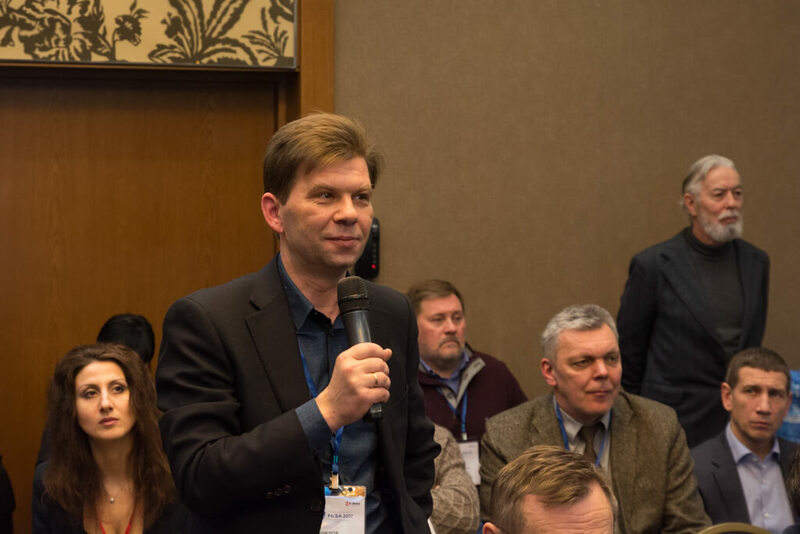 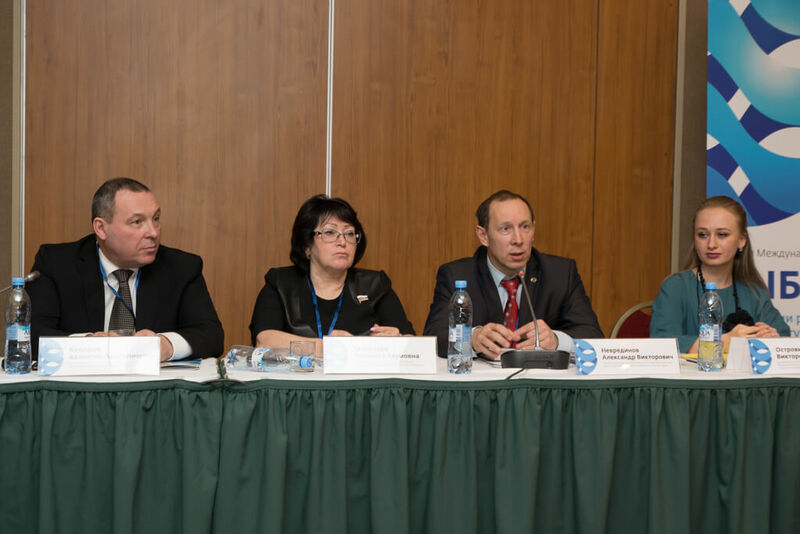 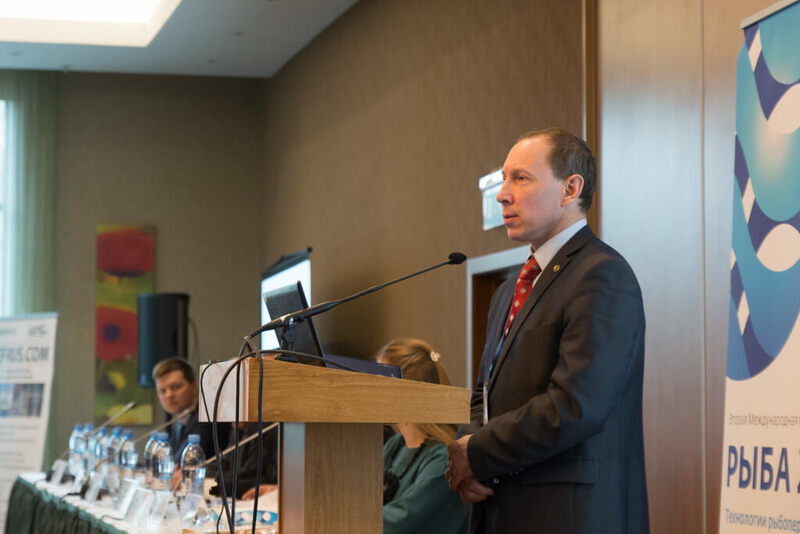 The Head of the Eurasian Aquaculture Alliance, Member of the Public Council of the Federal Fisheries Agency, a member of the working group of the Eurasian Economic Commission. 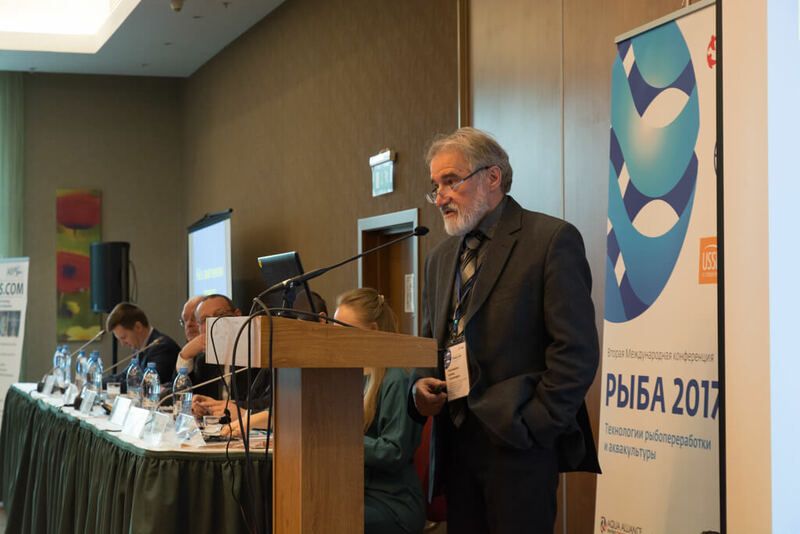 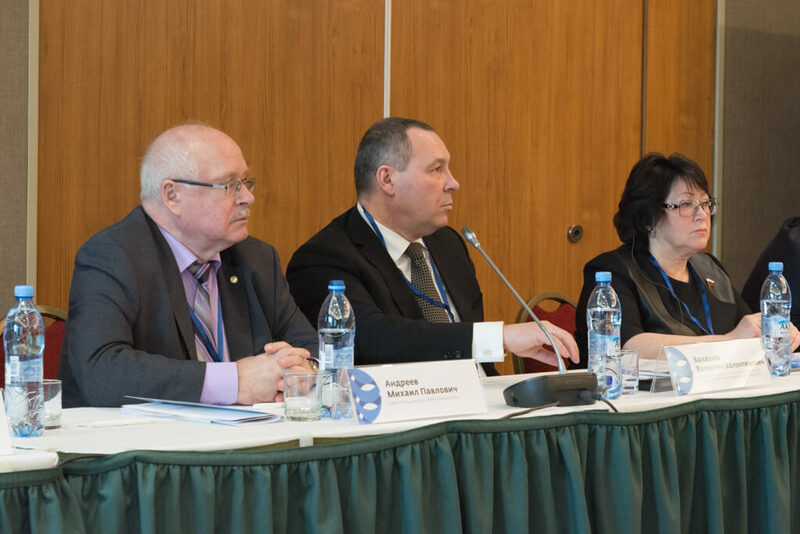 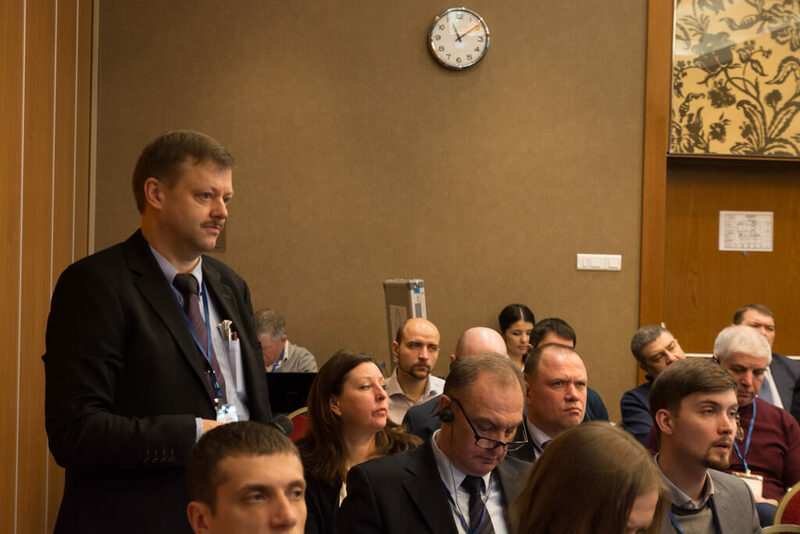 Presentation: New technologies and successful experience of Eurasian economic union of fisheries in farming and technologies of production of the peg product, direct supply of qualitative and safe fish processing and aquaculture production to a final consumer. 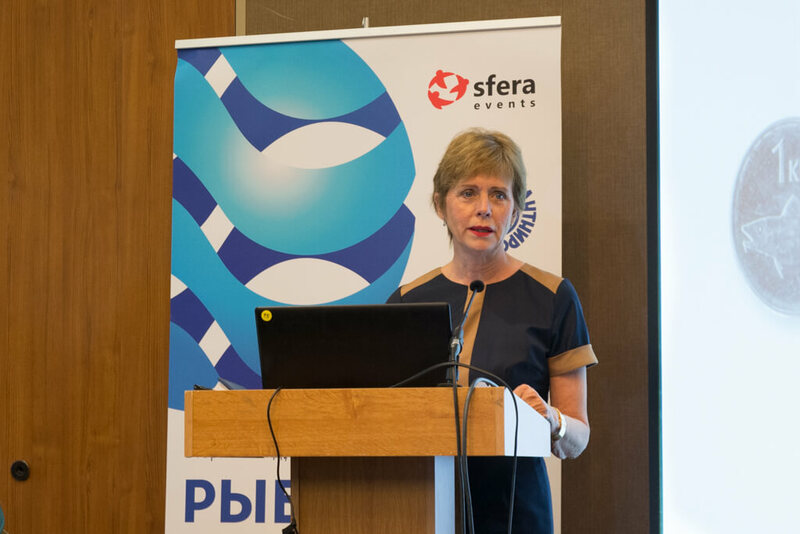 Extraodinary and Plenipotentiary Ambassador of Iceland in Russian Federation. 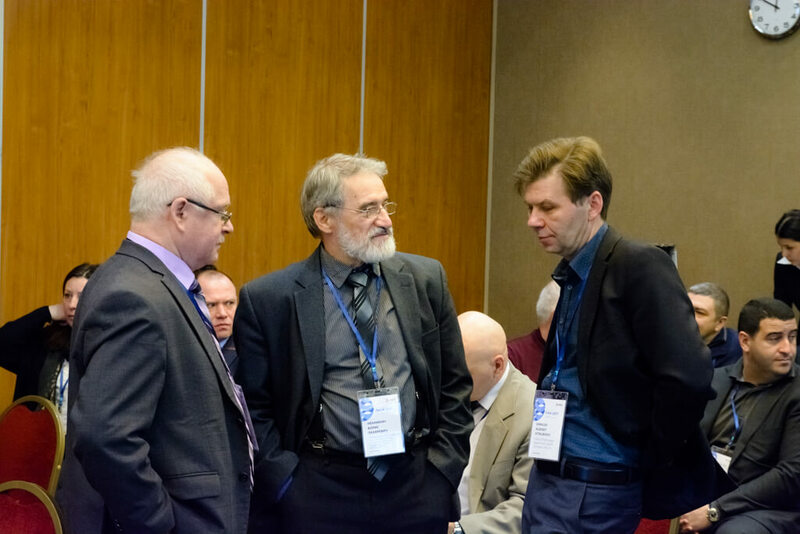 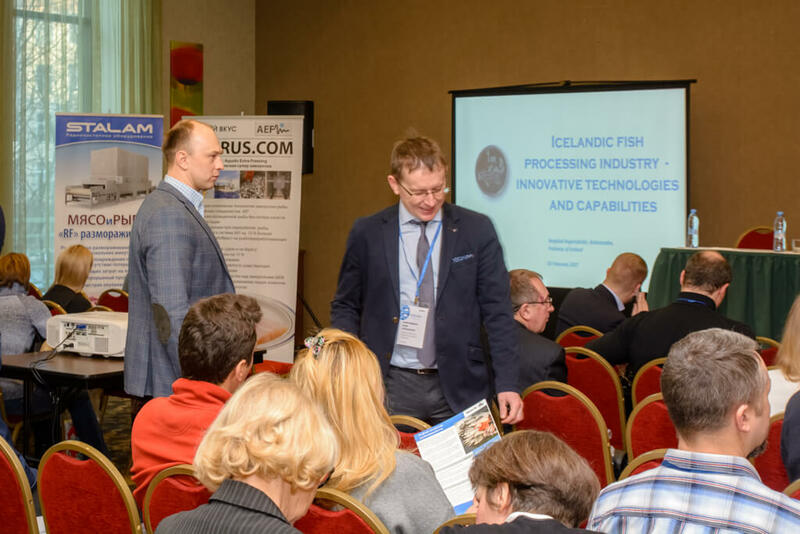 Presentation: Fish processing industry of Iceland – innovative technologies and possibilities. 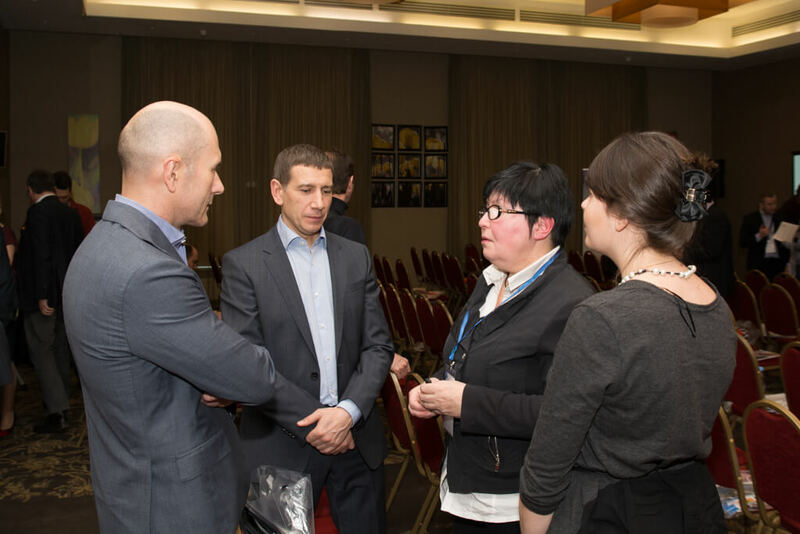 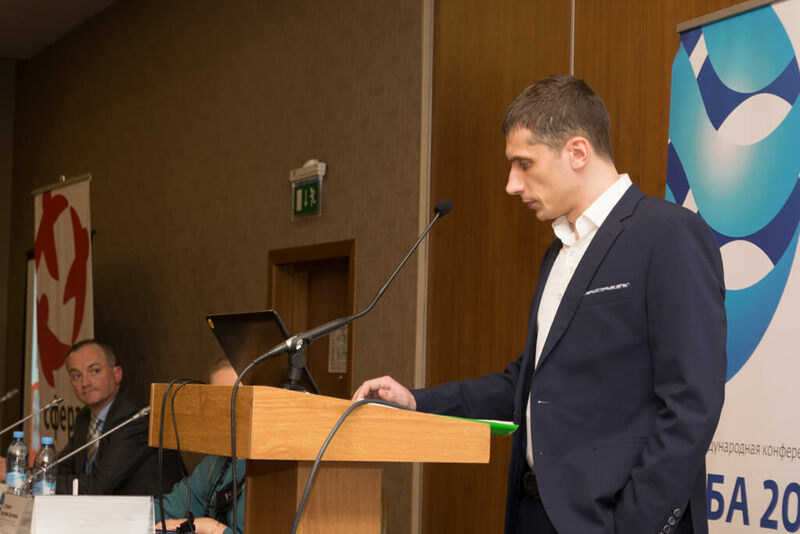 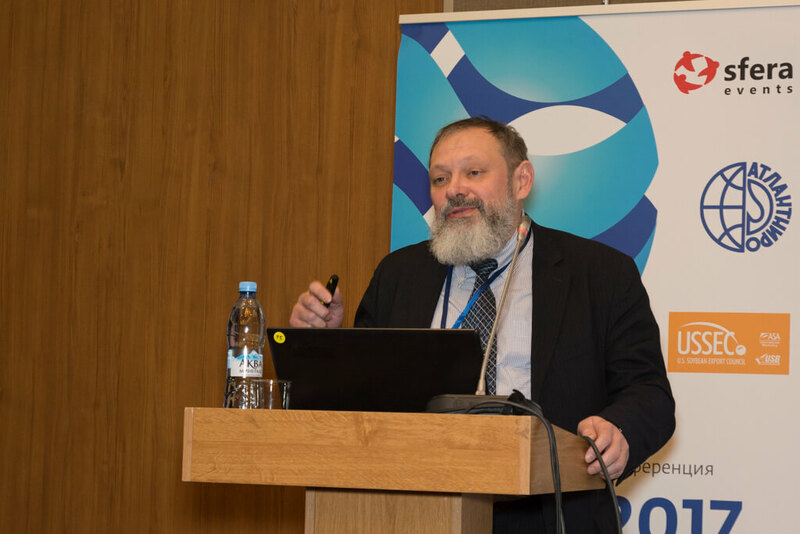 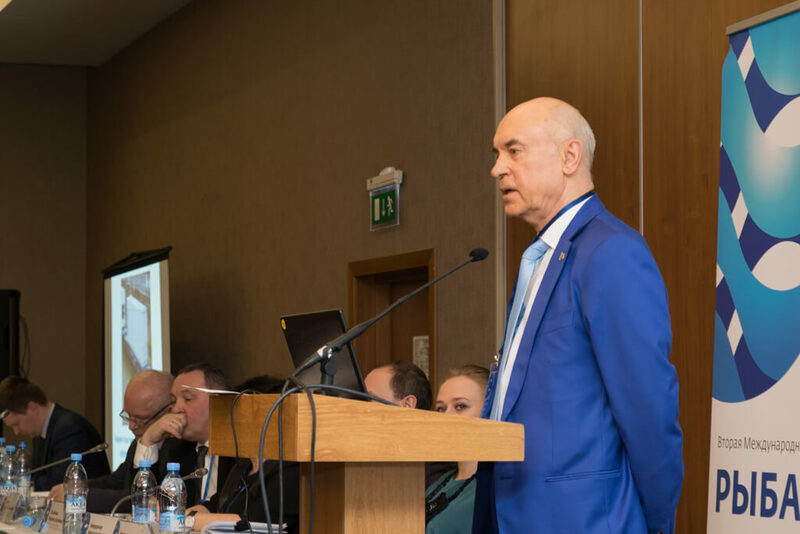 Speaker: Boris Nekhamkin, Head of salted, smoked and dried products laboratory, merited Russian fisheries worker, FSBISI Atlantic Research Institute of Fisheries and Oceanography (FSBSI AtlantNIRO). 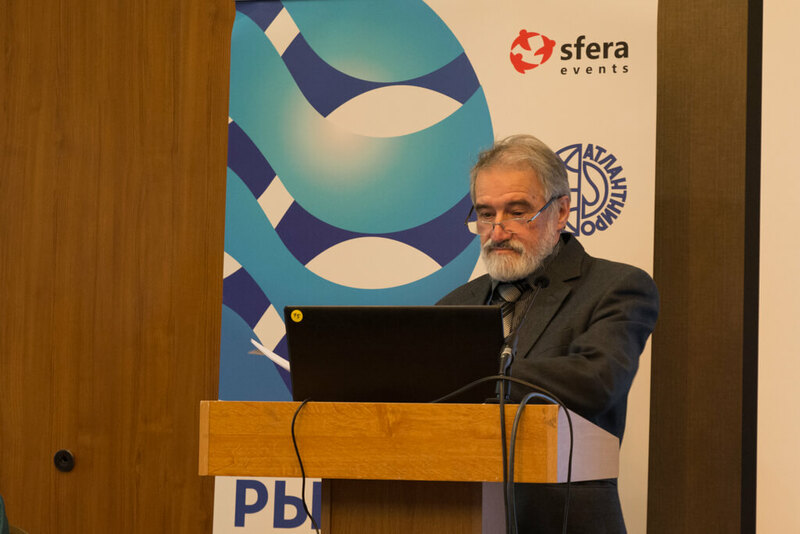 Presentation: Fish in the context of technical regulations. 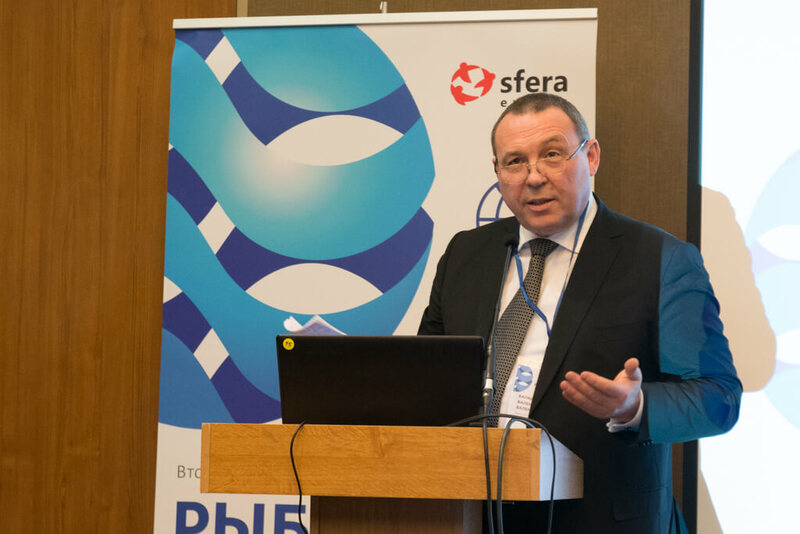 Presentation: Special issues of business in the riverside of water objects. 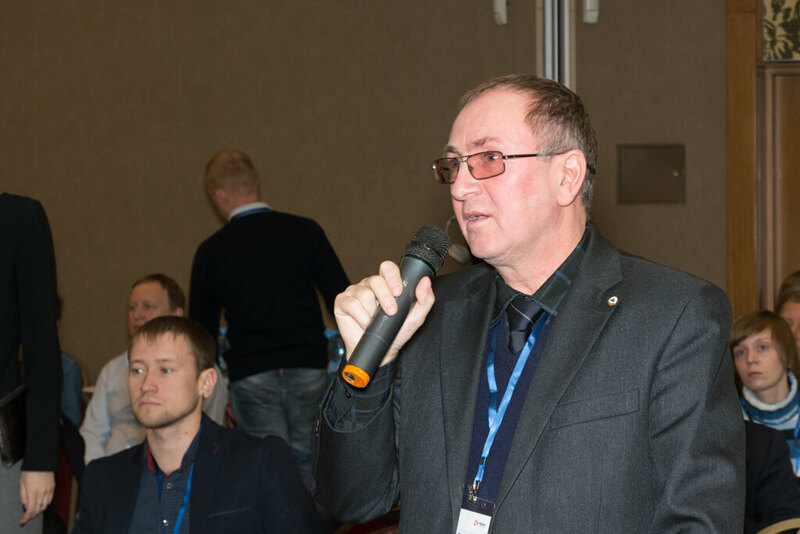 Chairman of Karelian Trout-farming Community. 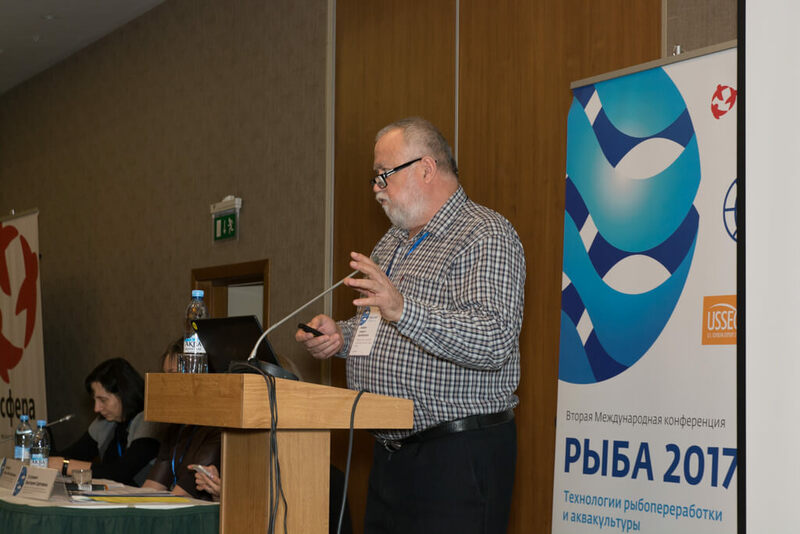 Presentation: Trout breeding developing in republic of Karelia. 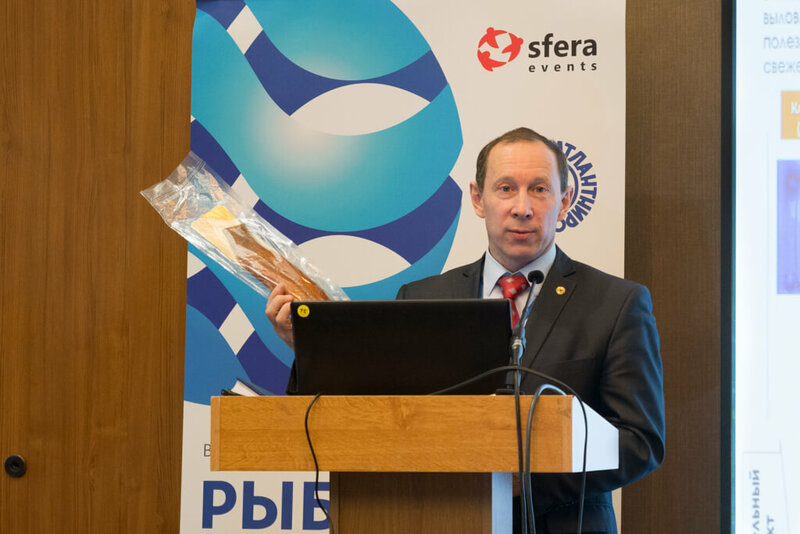 Presentation: Logistics of fish products delivery. 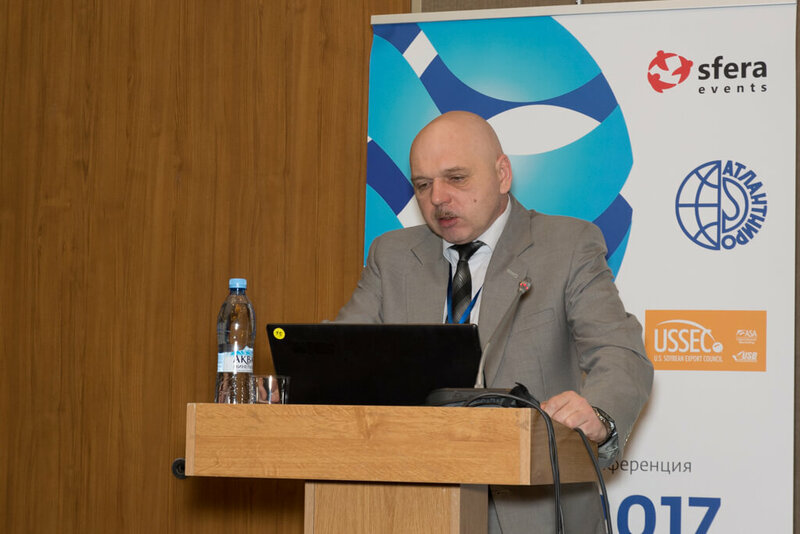 Technical regulation About fish and fish products safety. 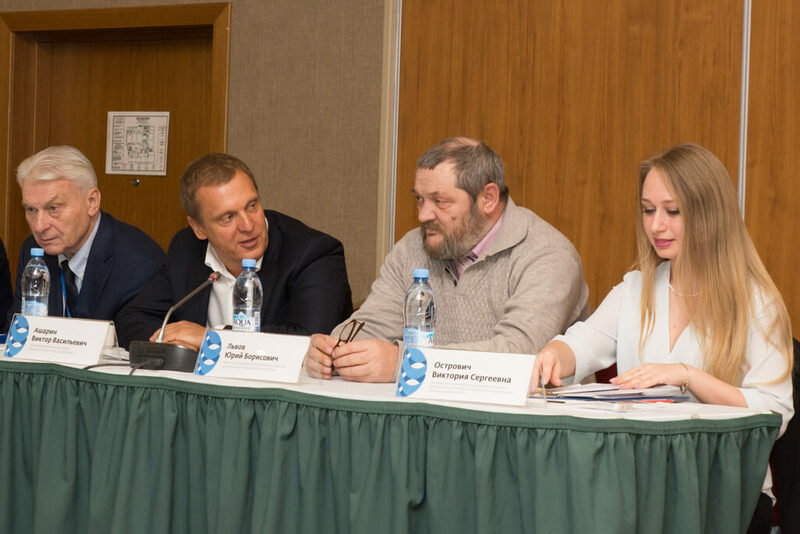 Modern problems and ways of development of Russian fish processing industry. 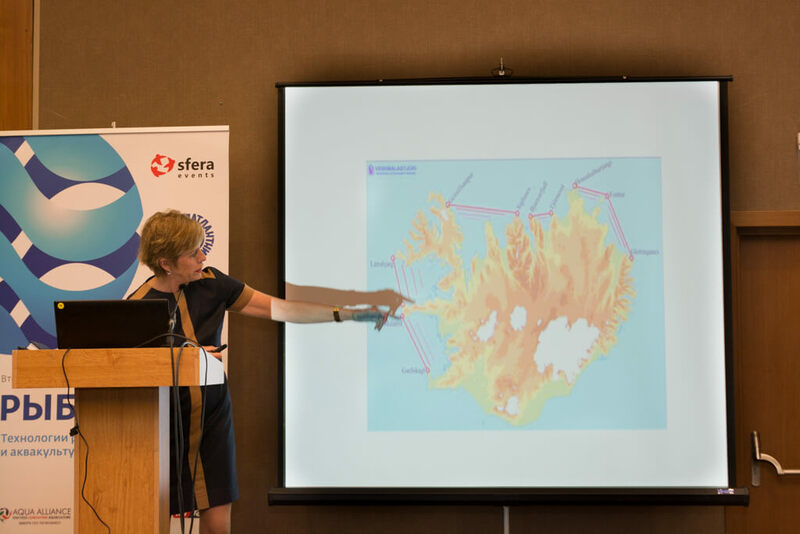 Logistics of fish products delivery. 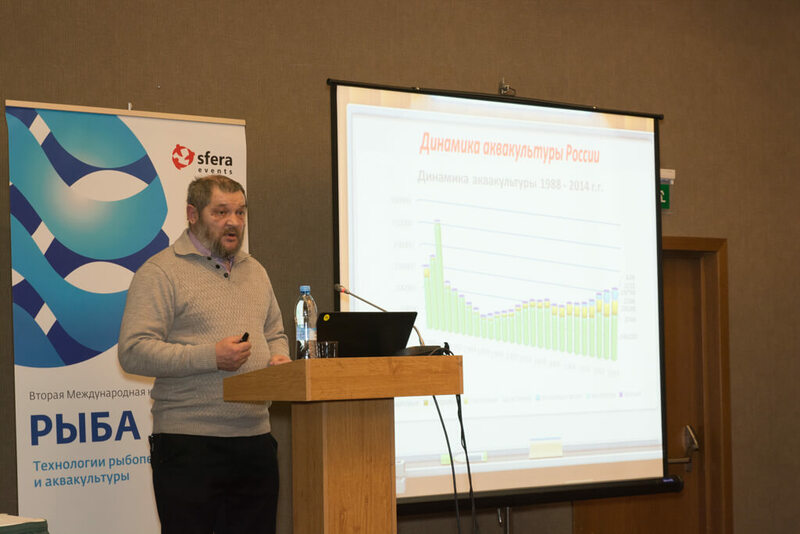 Measures of State support for aquaculture development. 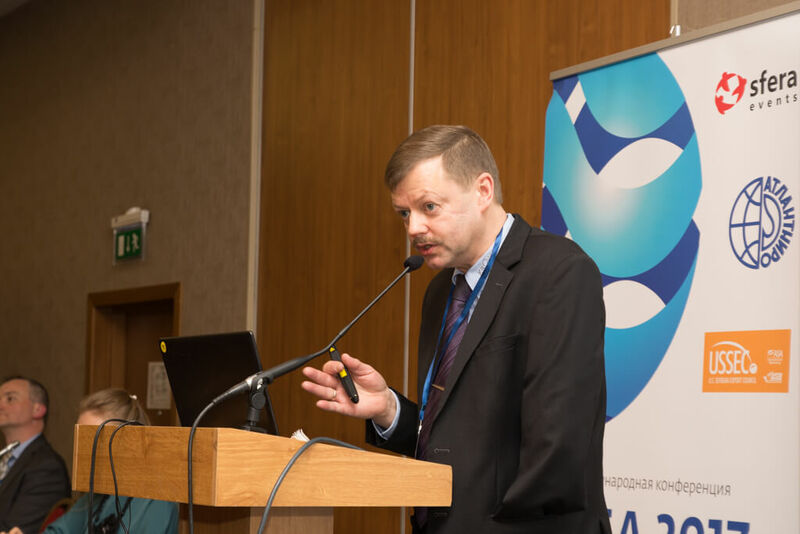 Viktor Asharin, Head of the Aquaculture Department of the Federal Agency for Fisheries. 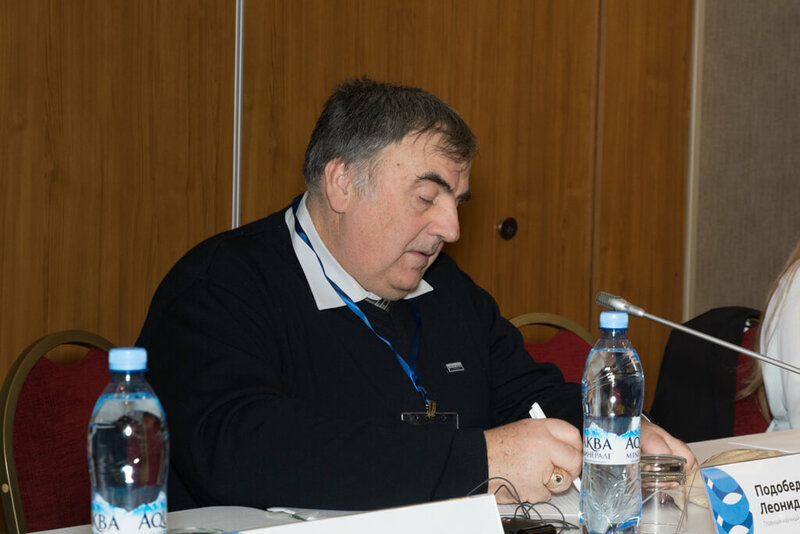 Valentin Balashov, Chairman of the Board of the Interregional Association of the coastal fishermen of the North Basin. 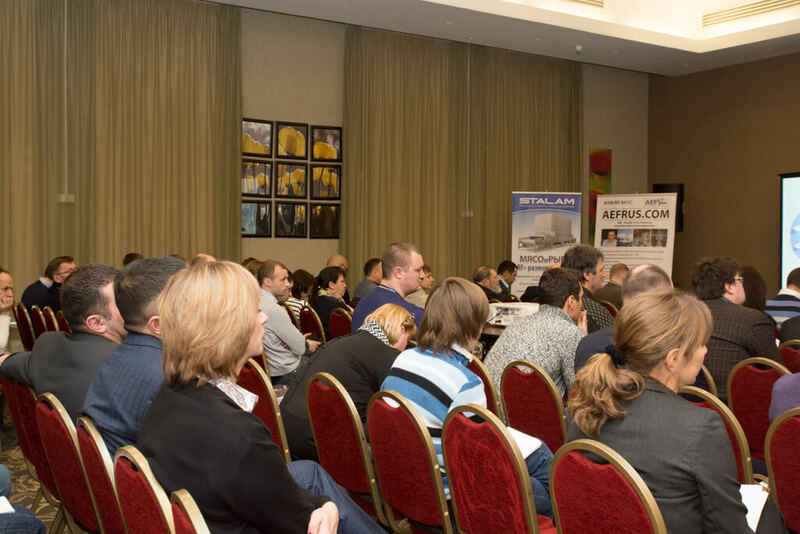 Presentation: Fish products manufacture: problems, new technologies, quality. 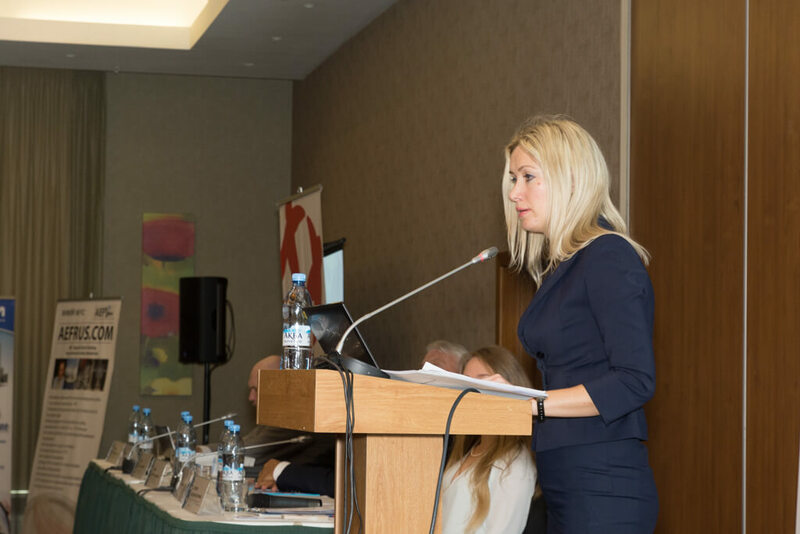 Speaker: Natalia Dianova, Alliance Group Leading Auditor. 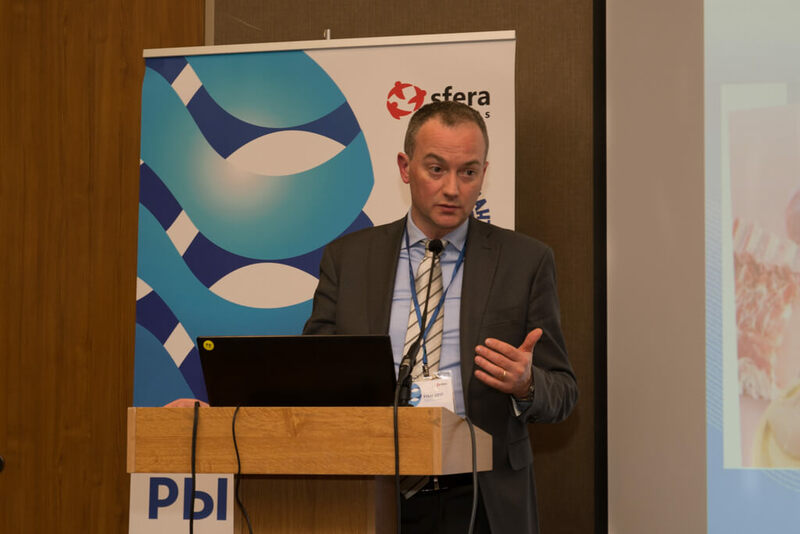 Presentation: Working with fish retail chains. 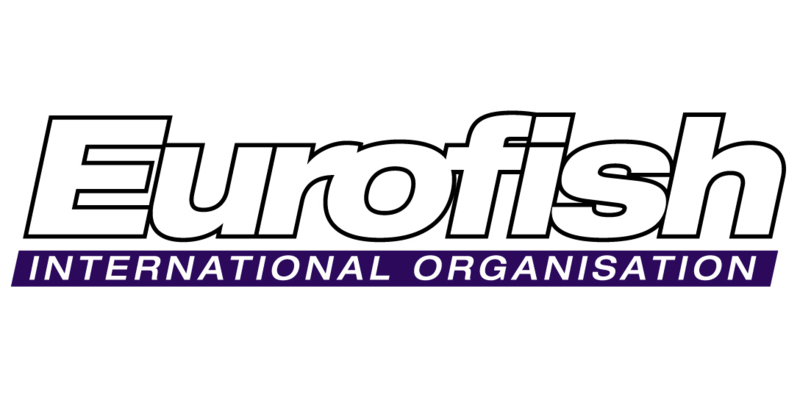 Passing due diligence of fish retail suppliers. 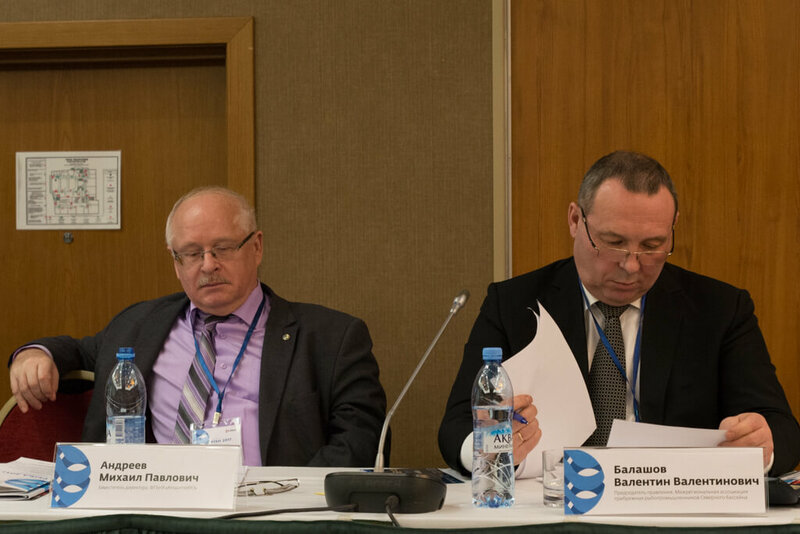 Practical problems of technical reglaments use and retail demands on Russian enterprises. 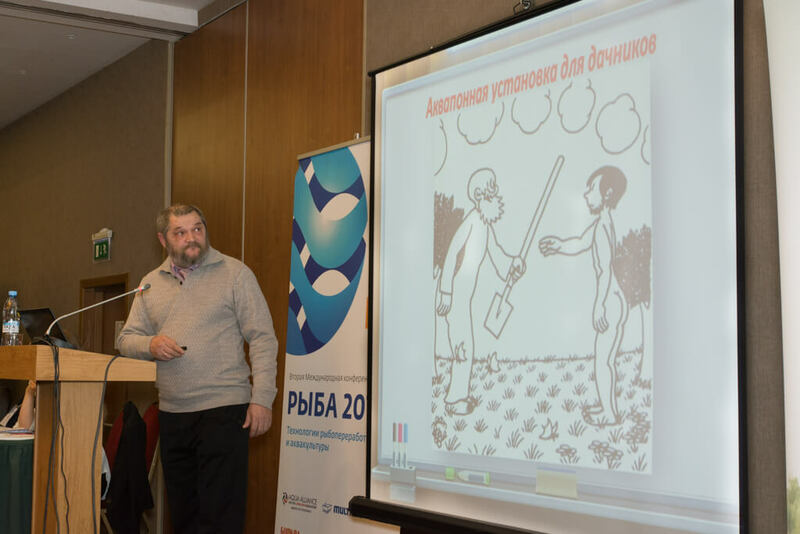 Ways of solution. 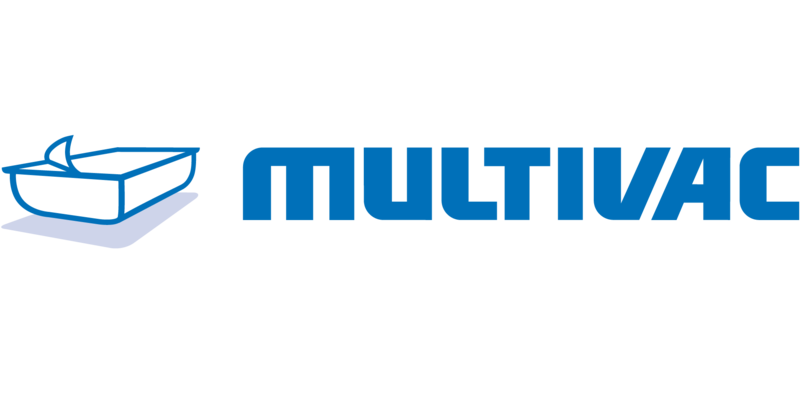 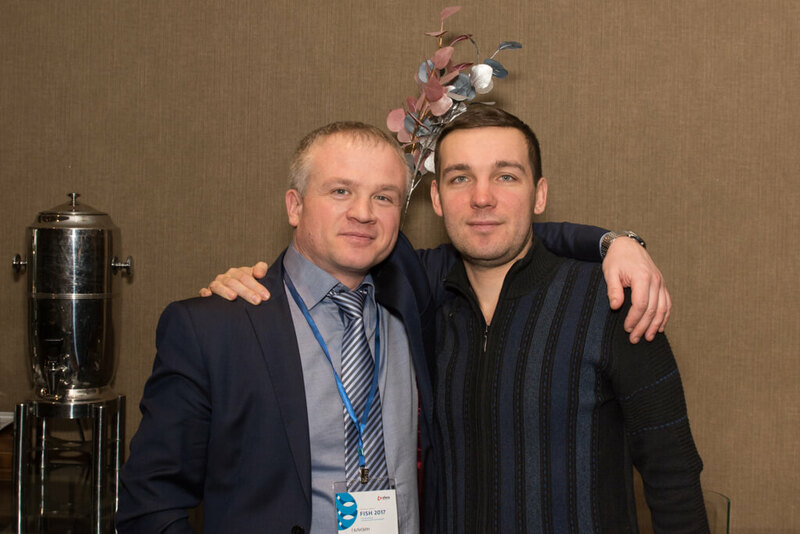 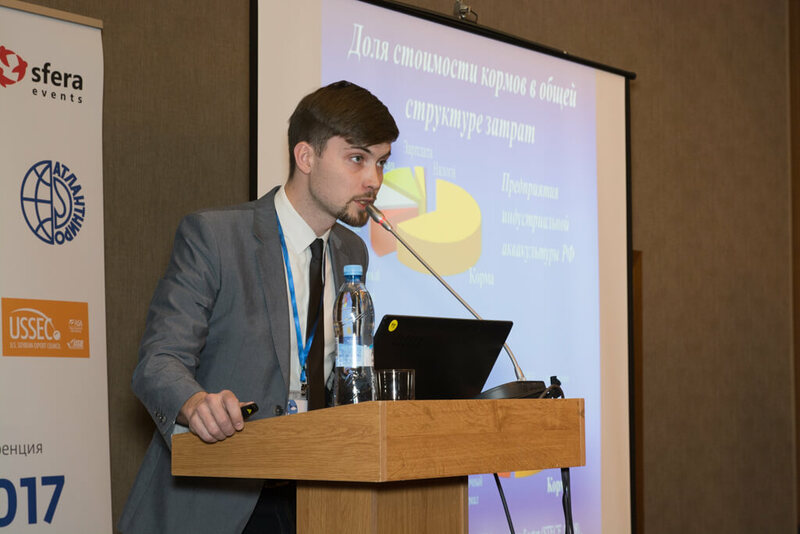 Speaker: Mikhail Toreev, sales manager/key account, MULTIVAC. 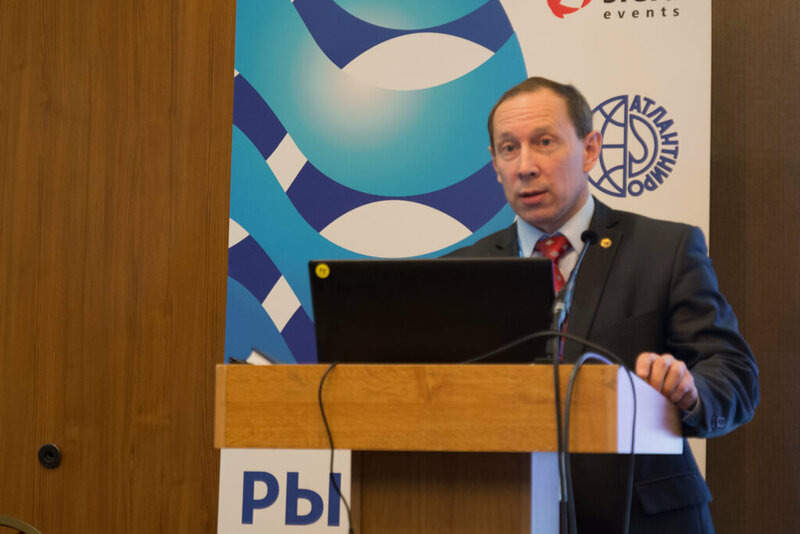 Presentation: Packing solutions and packing processes automatization. 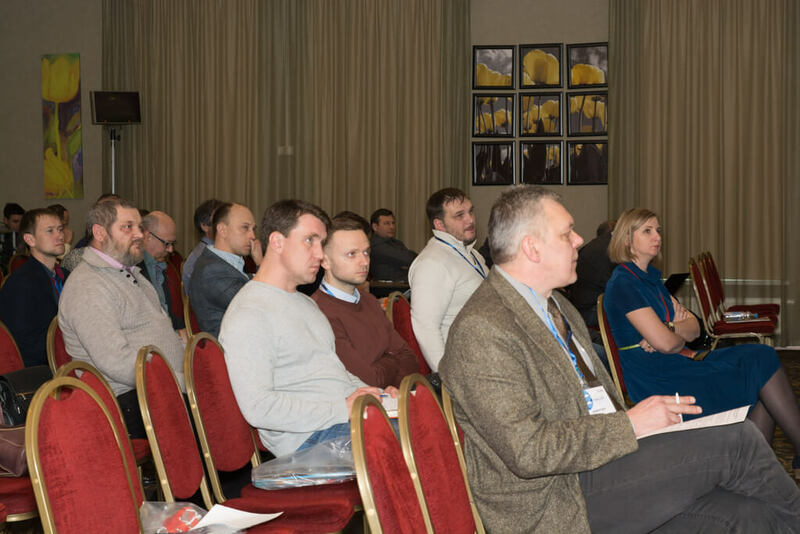 Presentation: Your partner in gutting, filleting and further handling of farmed fish. 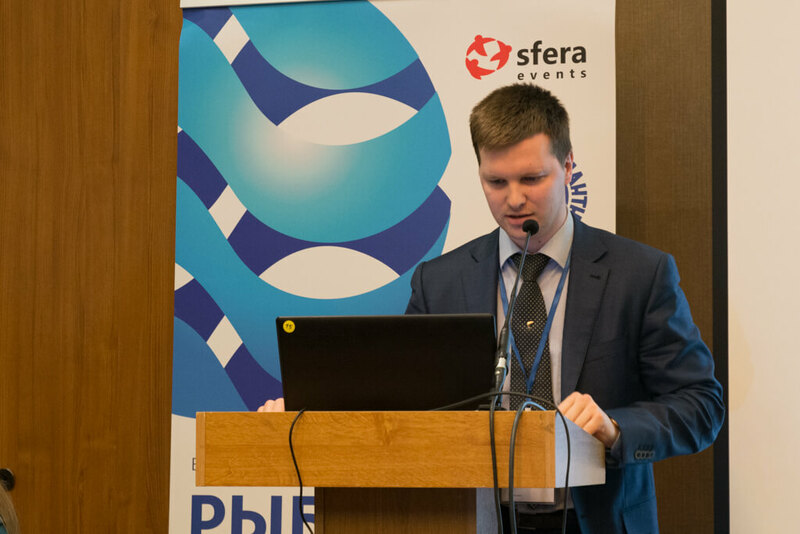 Speaker: Kirill Finogenov, Leading Manager of Rutex LLC. 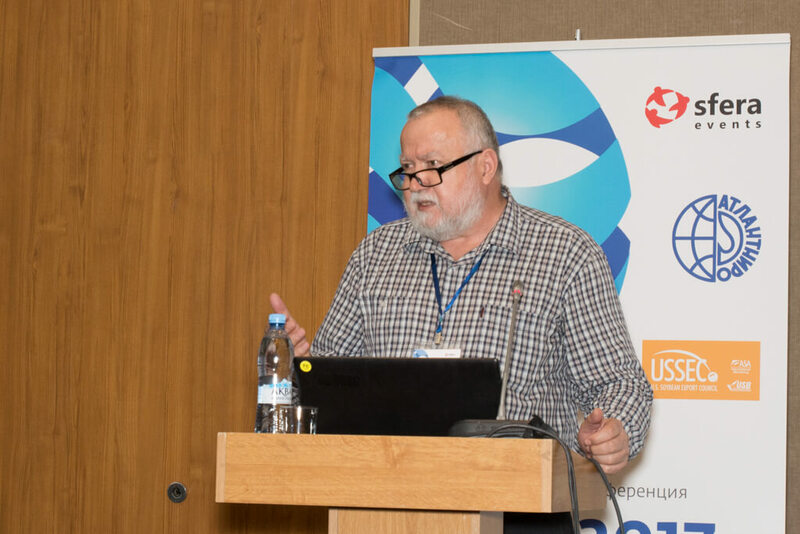 Presentation: Technology development of fish and fish products smoking. 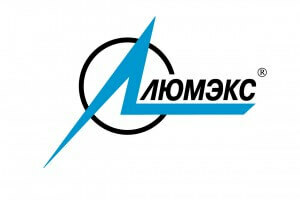 Product manager in STALAM S.p.A, In-line Rapid Defrosting Technology. 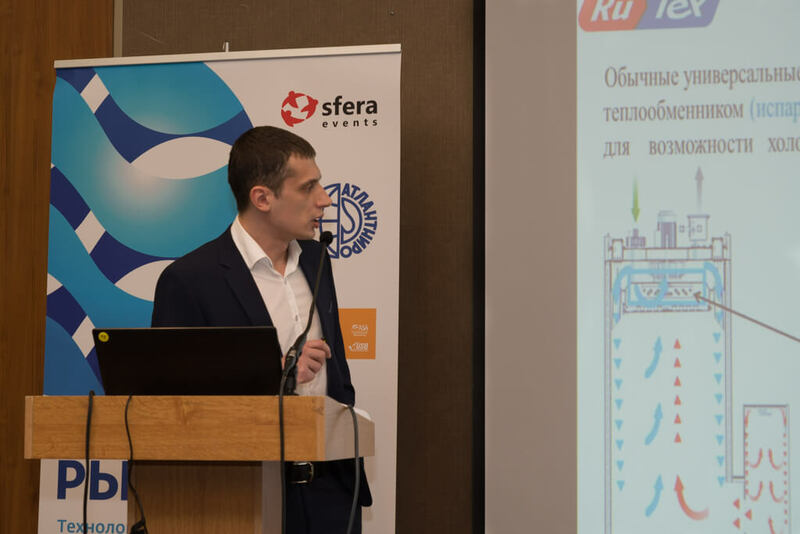 Presentation: Radiofrequency in-line rapid defrosting of fish and seafood. 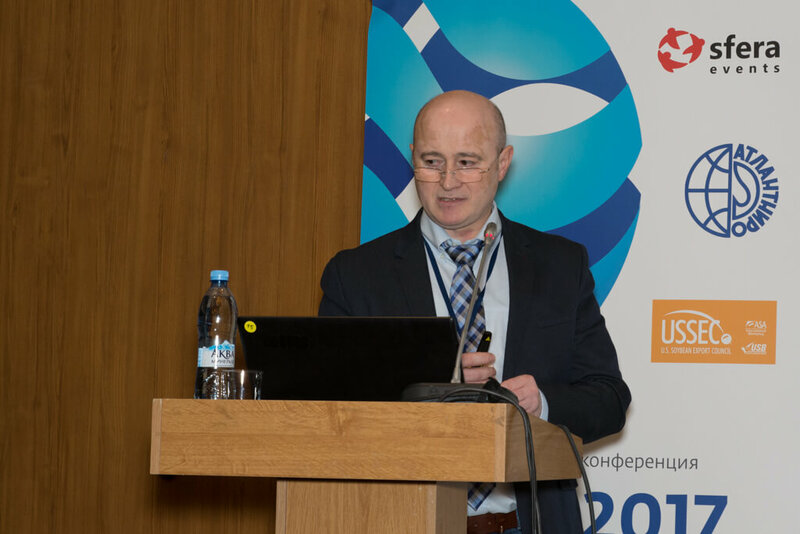 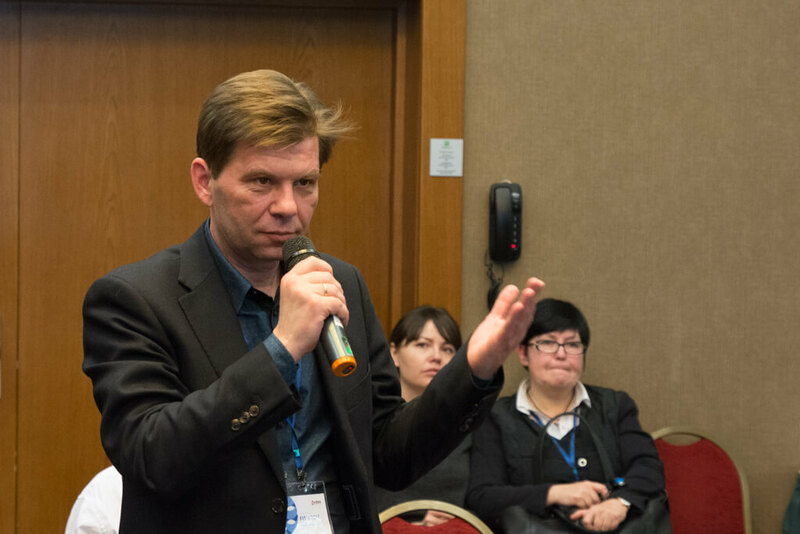 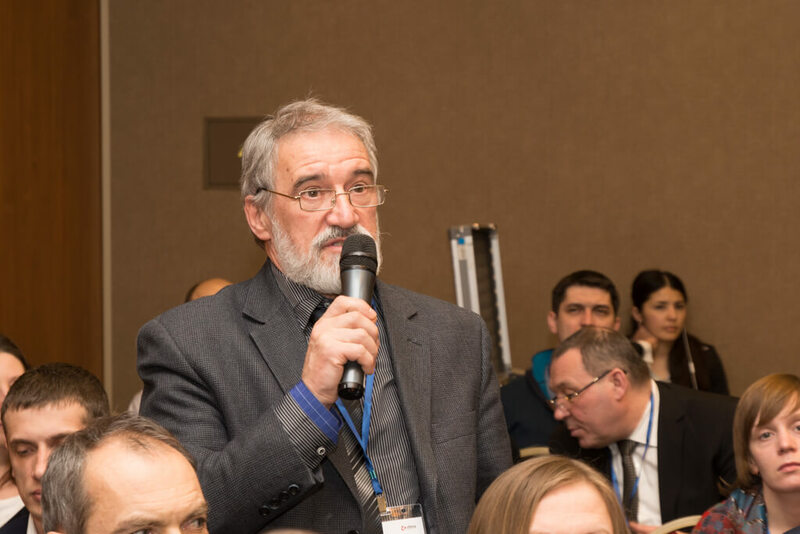 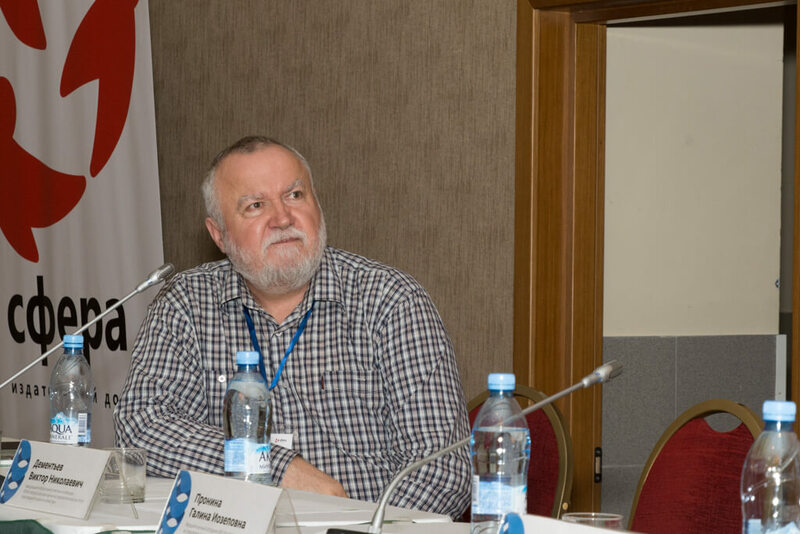 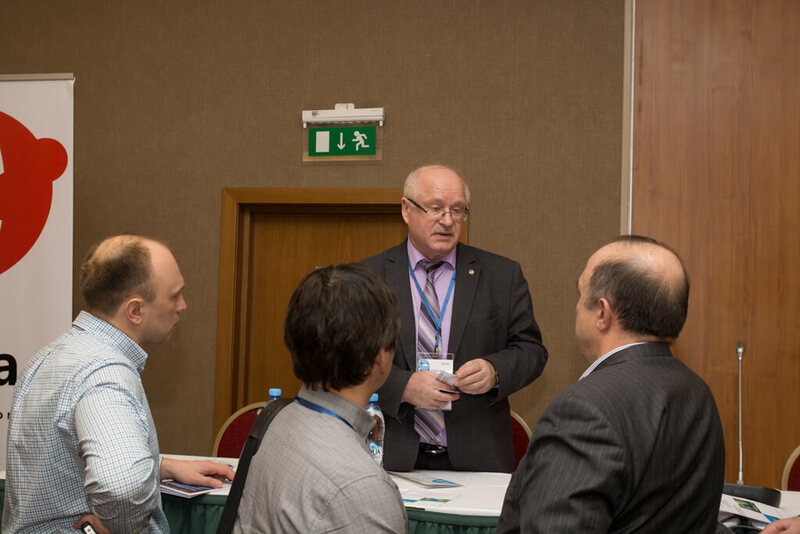 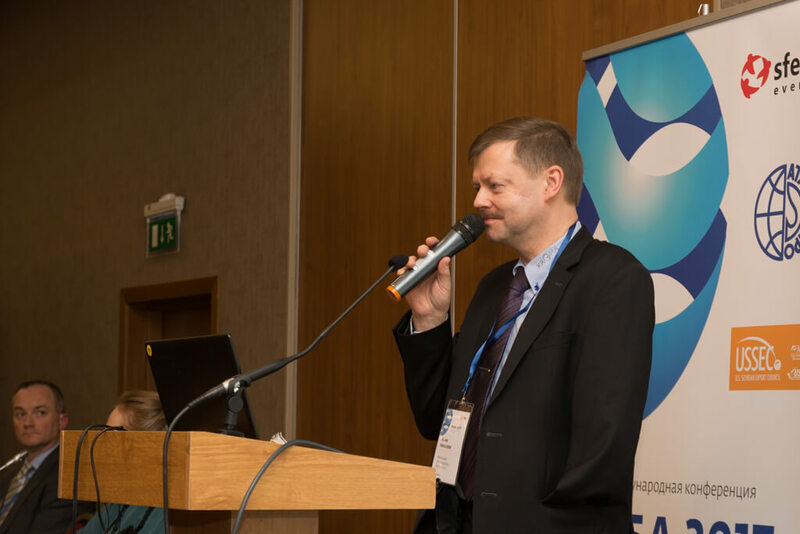 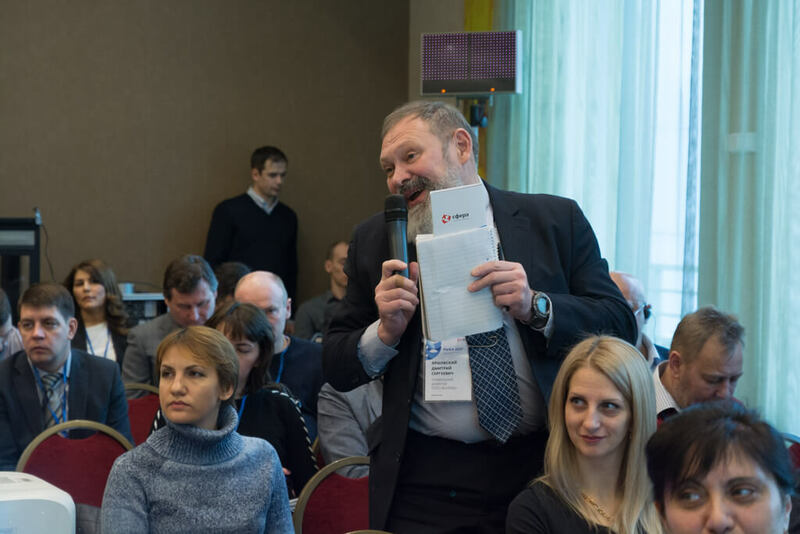 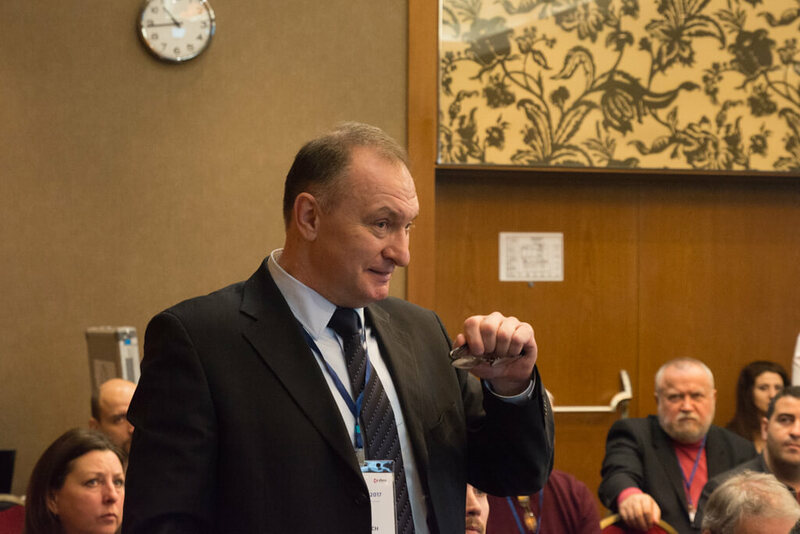 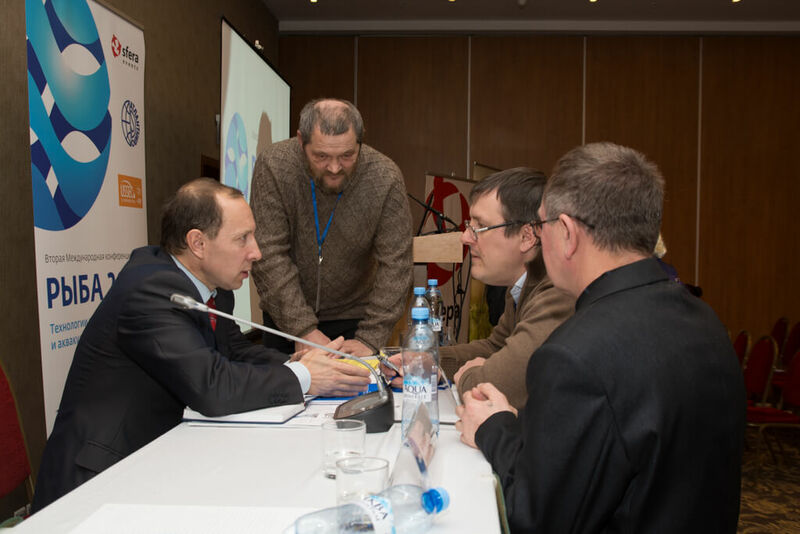 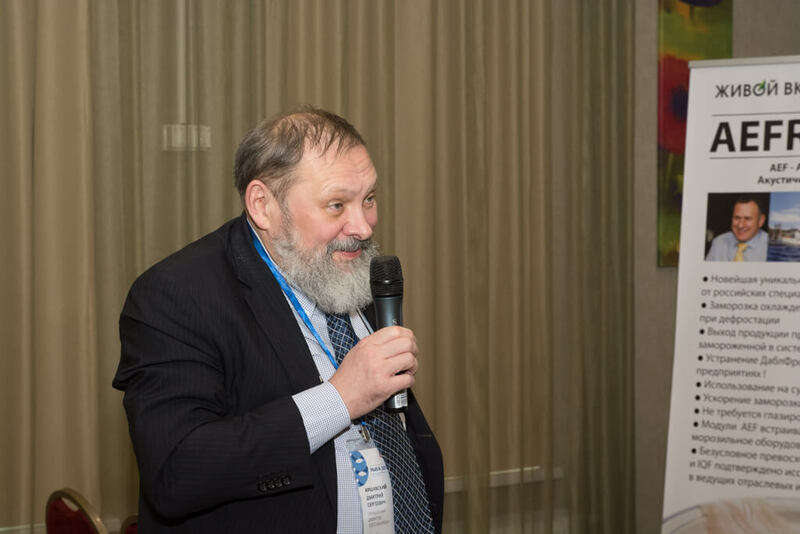 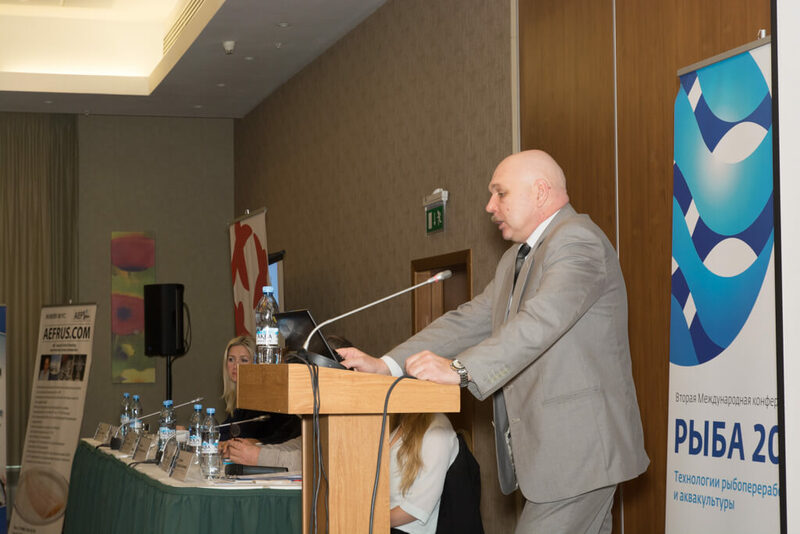 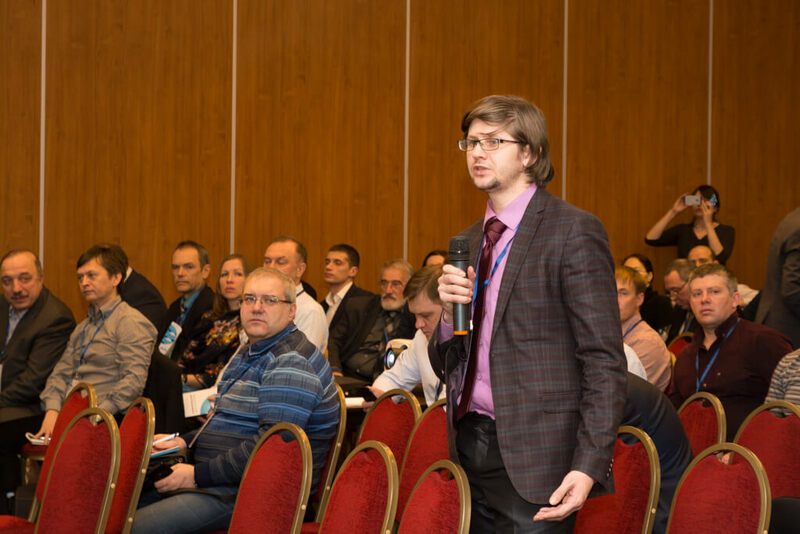 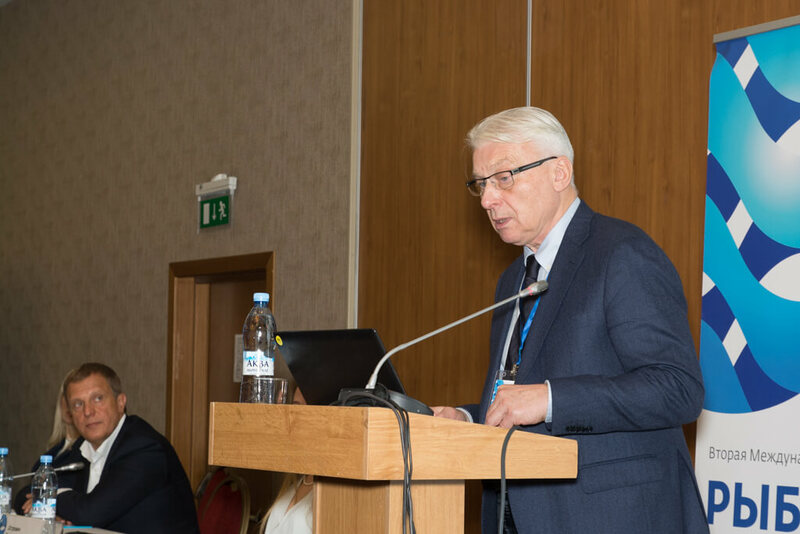 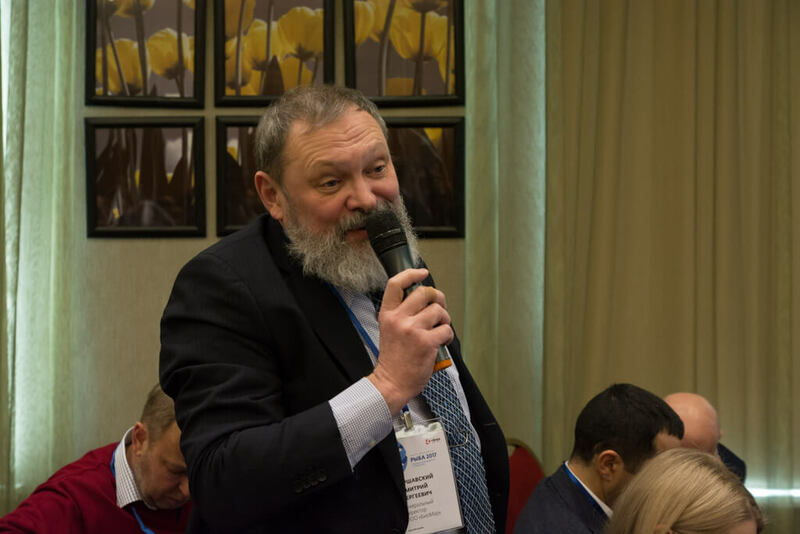 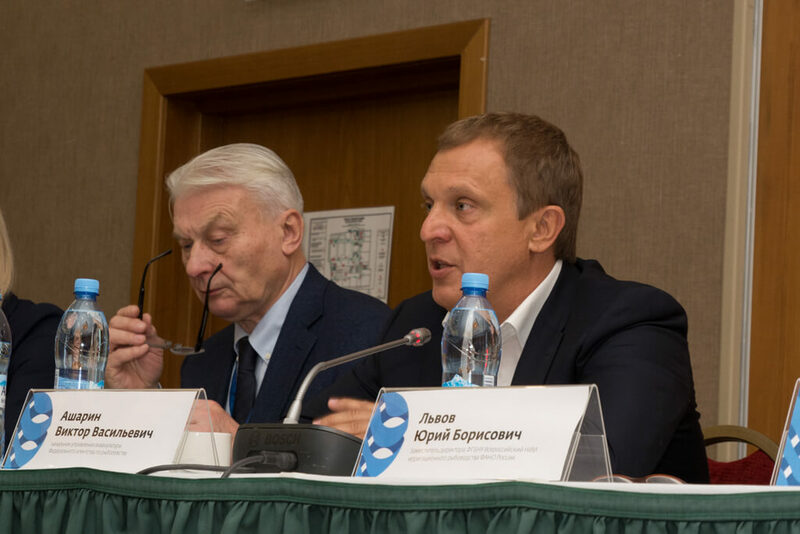 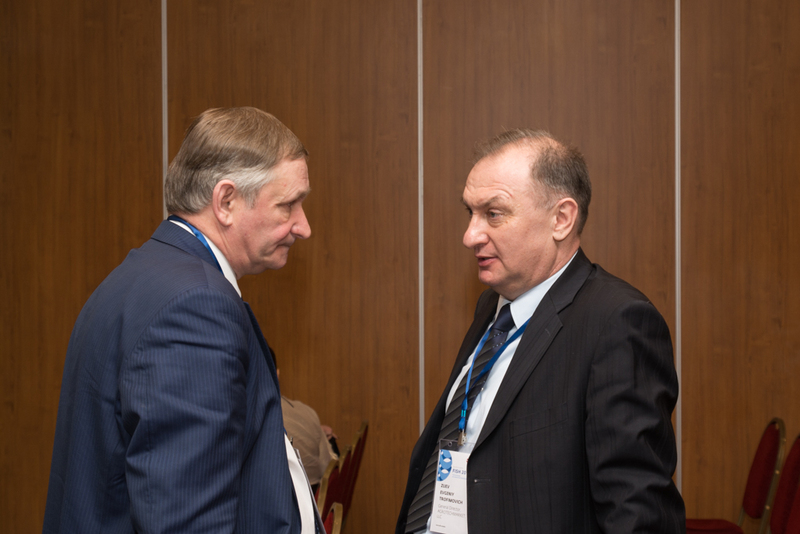 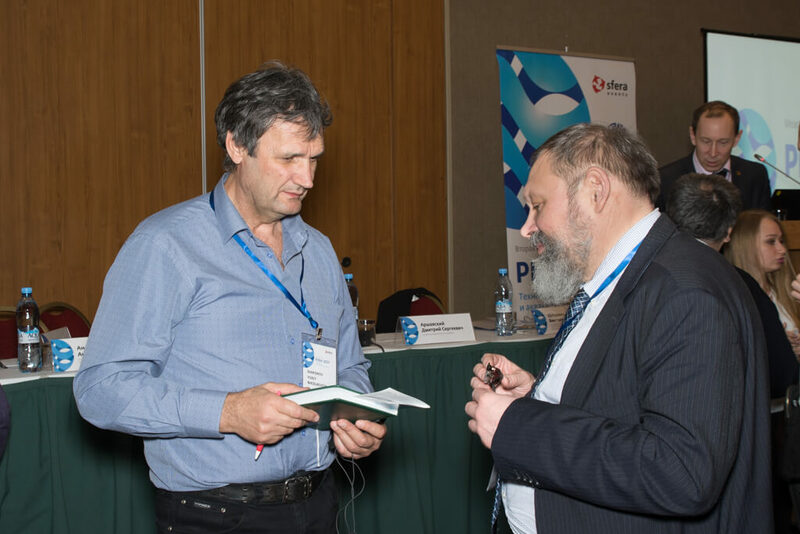 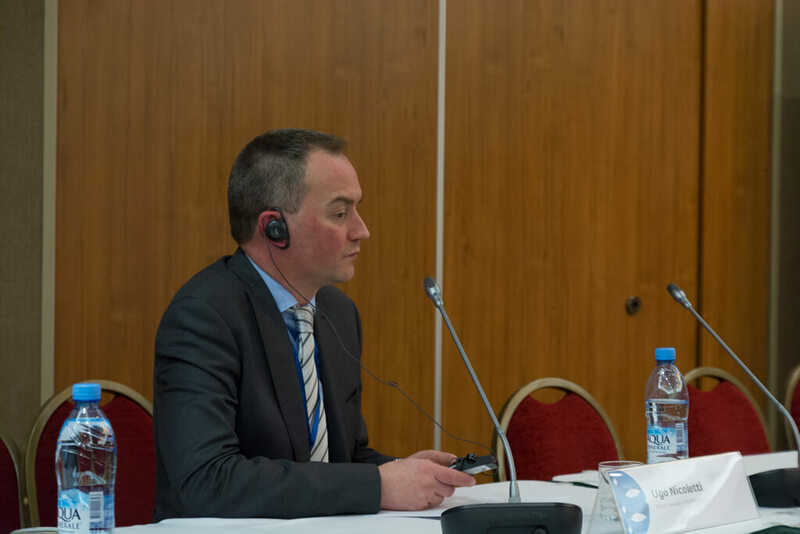 Speaker: Yuriy Lvov, Vice-Principle, Corresponding Member Of Russian Academy Of Natural Sciences, FSBSI Russian Research Institute Of Irrigative Fish-Farming Of FASO Russia. 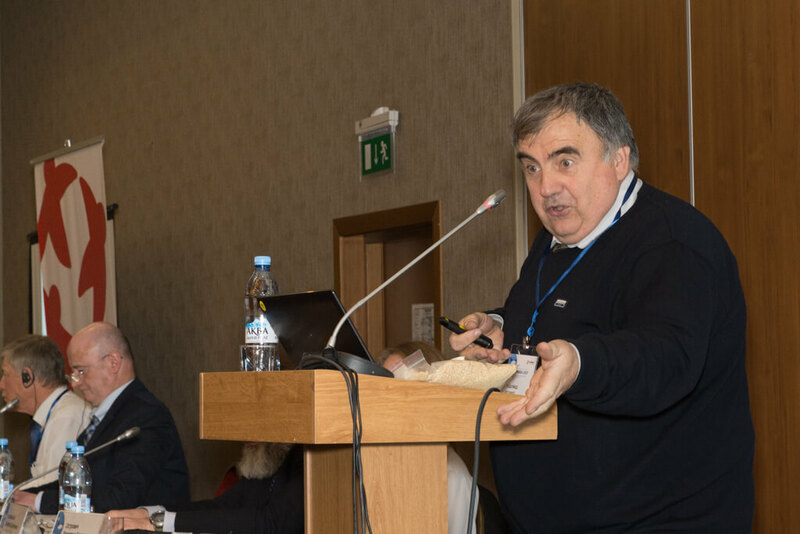 Presentation: Condition, prospects and technologies of aquaculture. 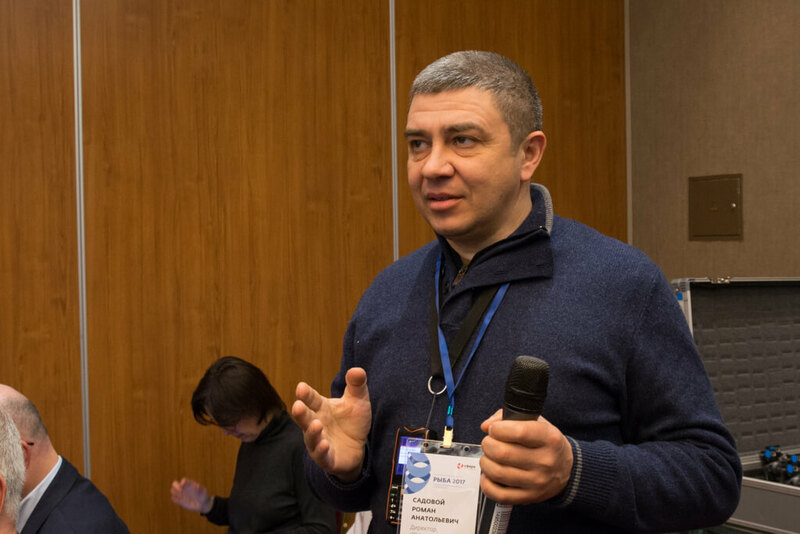 Speaker: Leonid Shibaev, Head of Experimental Fish-farming Department, PhD in Biology, FSBSI Atlantic Research Institute оf Fisheries And Oceanography (FSBSI AtlantNIRO). 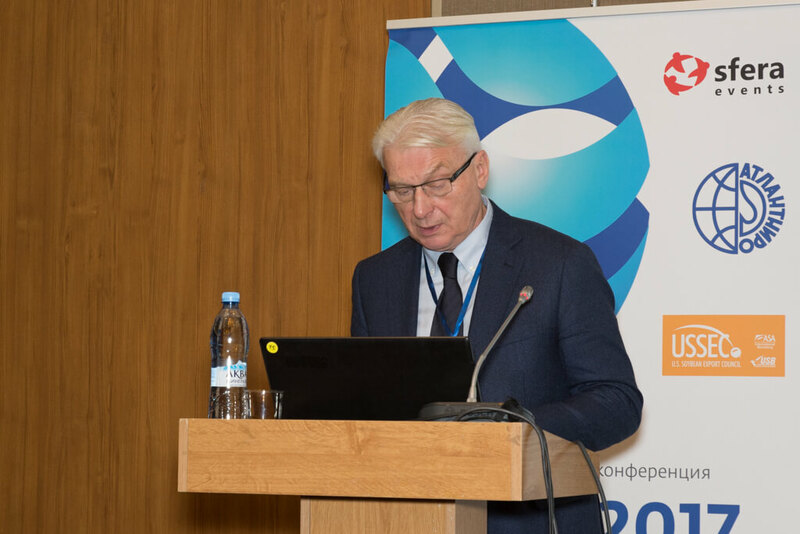 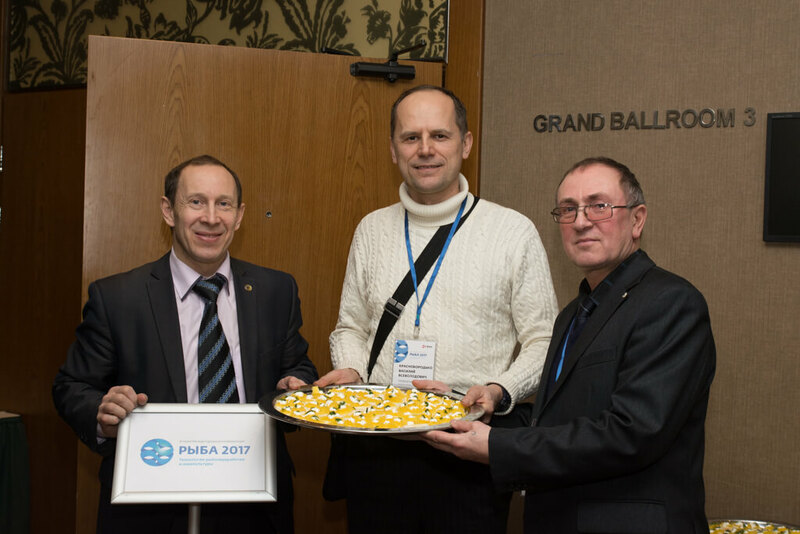 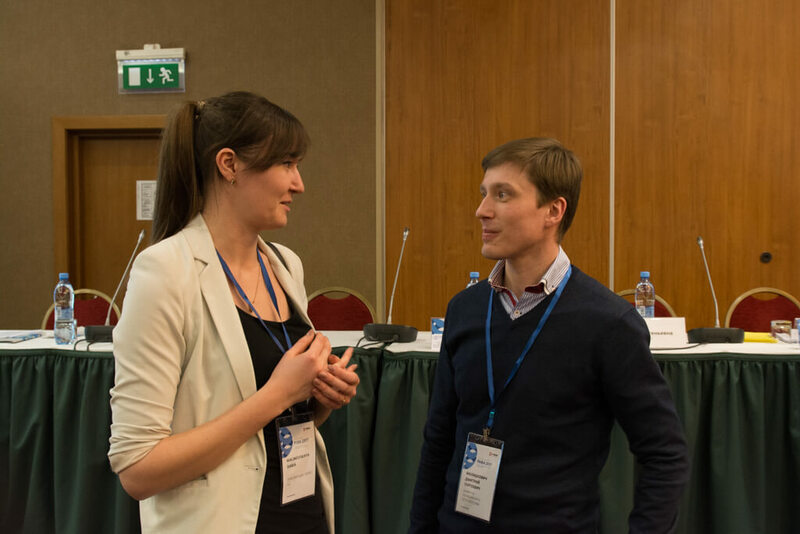 Presentation: Experience of artificial fish reproduction in Kaliningrad region and prospects for its further development. 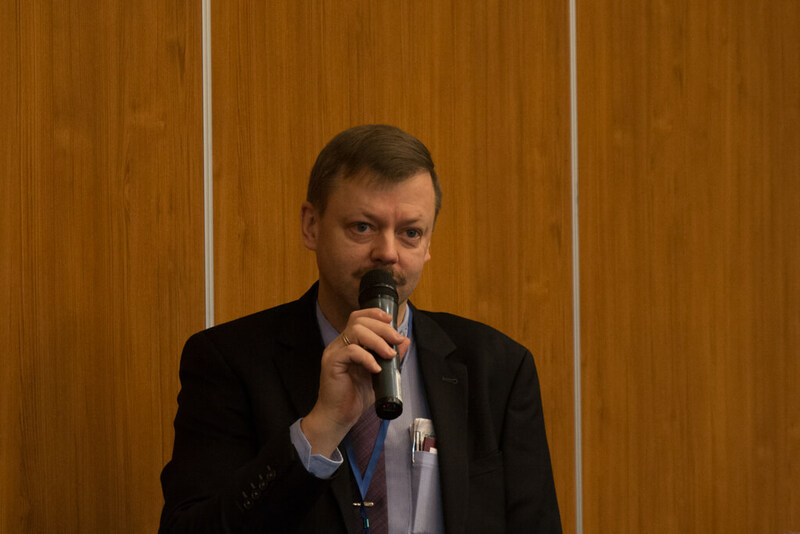 Speaker: Scherbak Igor Nikolaevich, Senior Expert, FAO Department of Communication with Russian Federation, United Nations Food and Agriculture Organization (FAO). 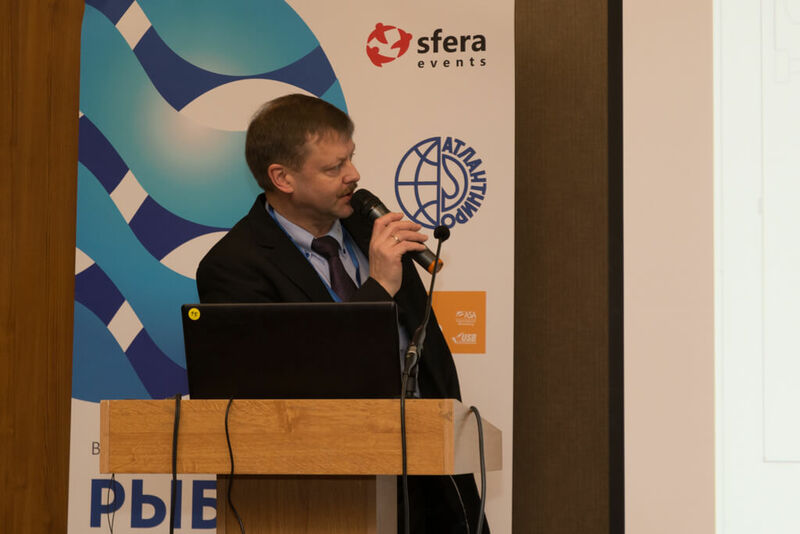 Presentation: FAO's approach to the development of international cooperation in the field of aquaculture. 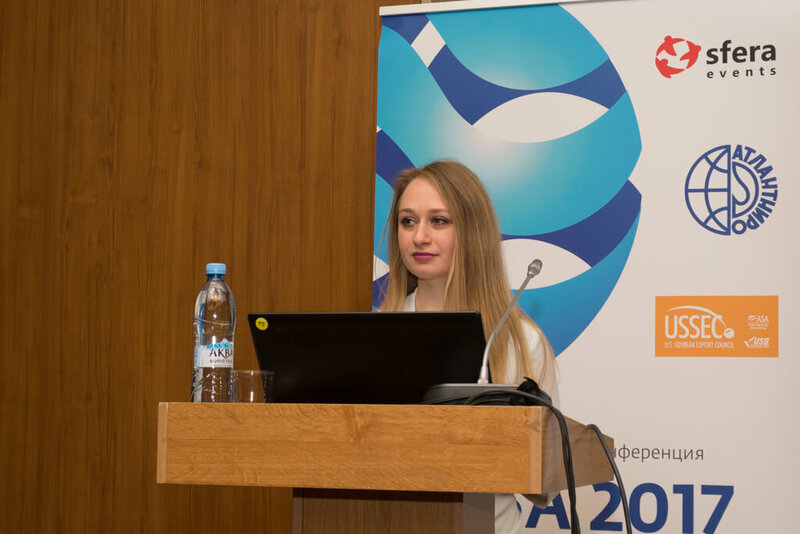 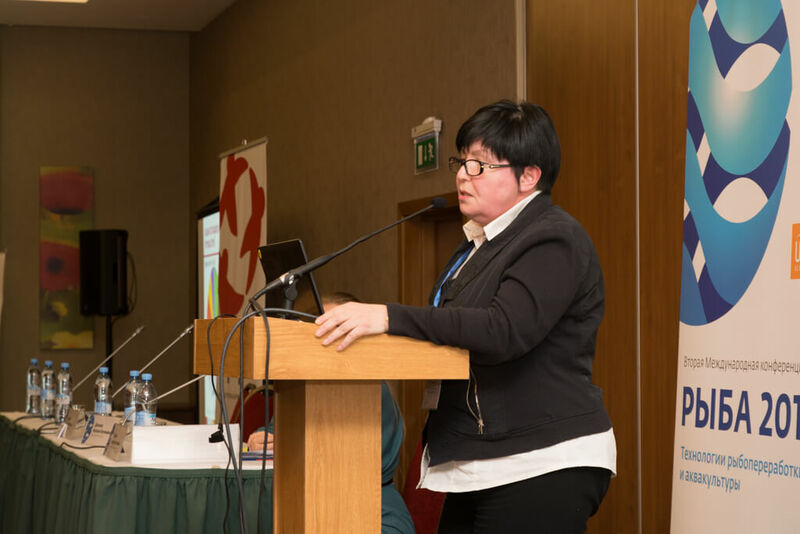 Speaker: Ekaterina Tribulistova, Market Research Specialist, International Organization EUROFISH (Copenhagen, Denmark). 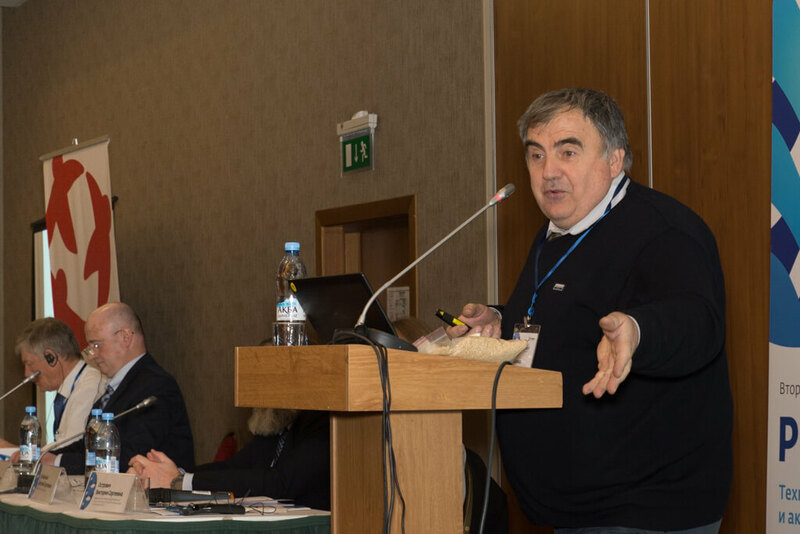 Presentation: Review of successful projects on popularization of aquaculture products on european market (successful advertising campaigns). 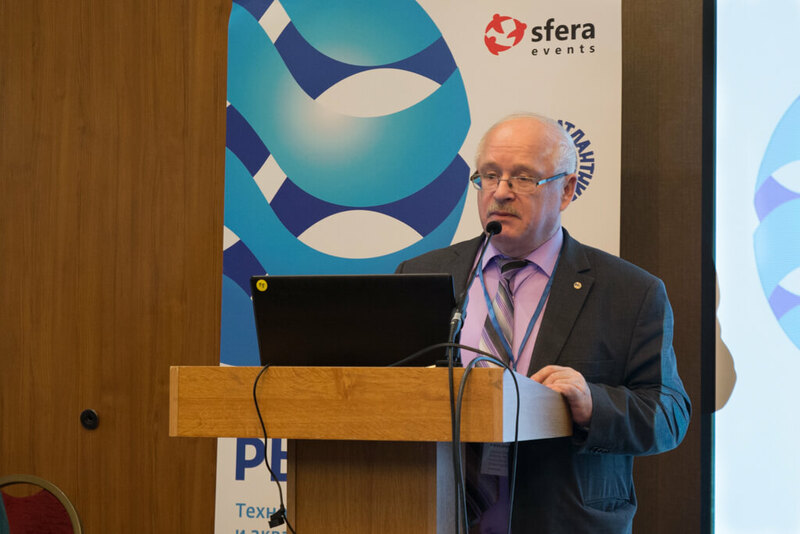 Presentation: Combined feed for fish: characteristics of composition and technology. 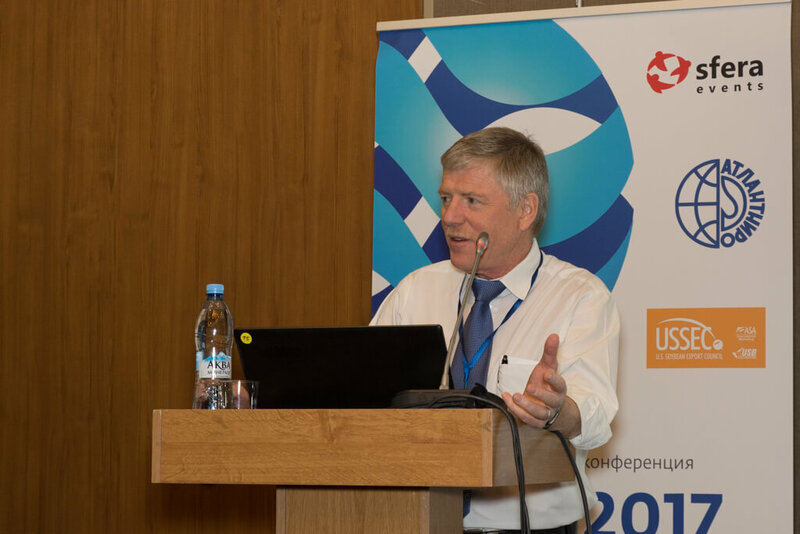 Speaker: Jan van Eys, Ph.D., GANS Inc. (Global Animal Nutrition Solutions Inc.), USSEC Consultant. 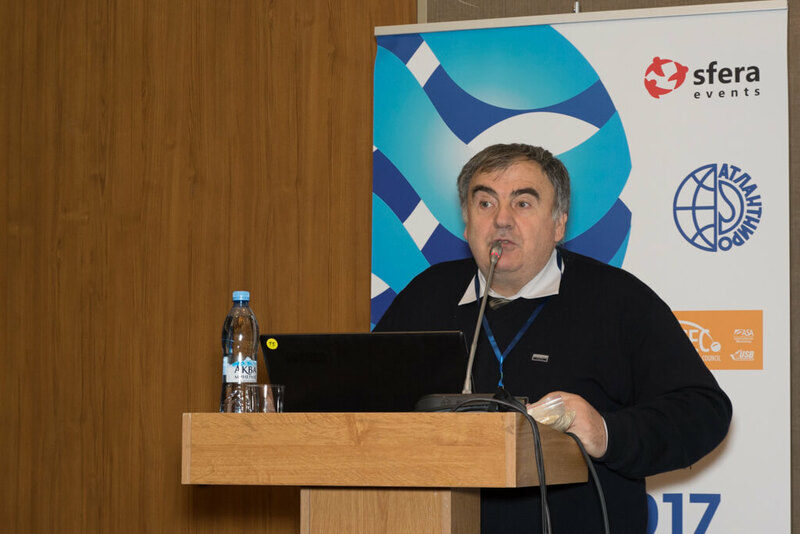 Presentation: Innovations in area of technologies and fish feeding of industrial fish production. 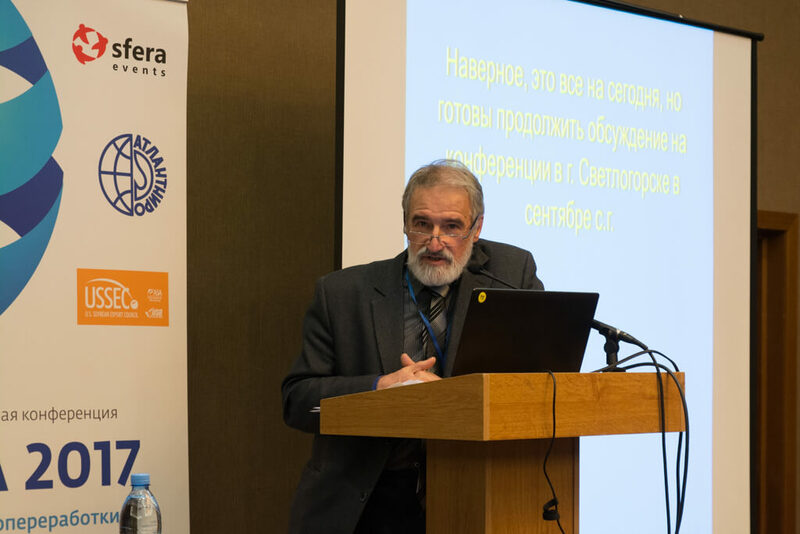 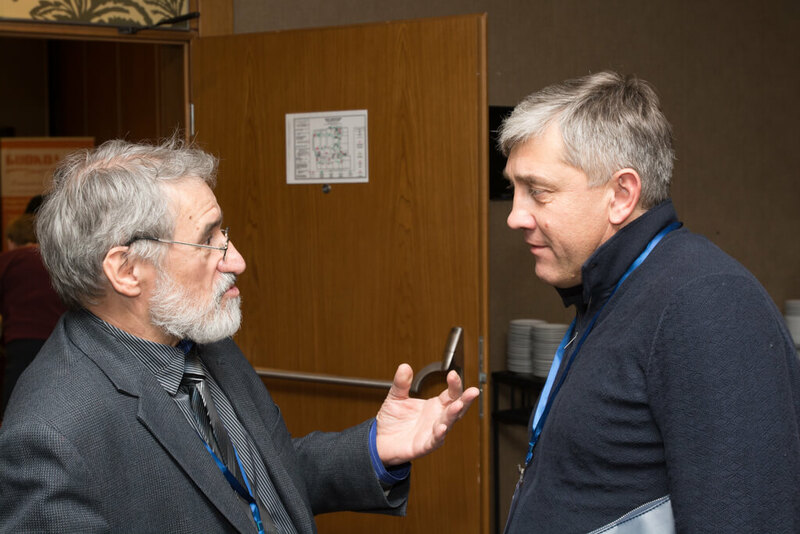 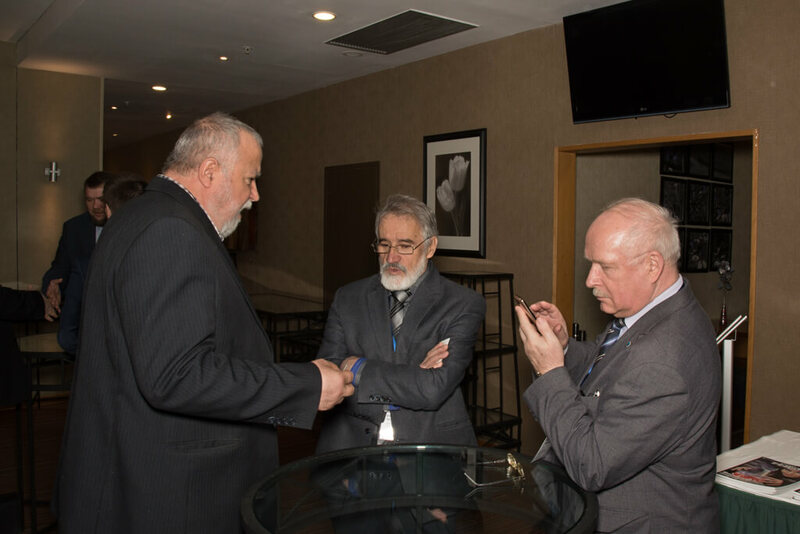 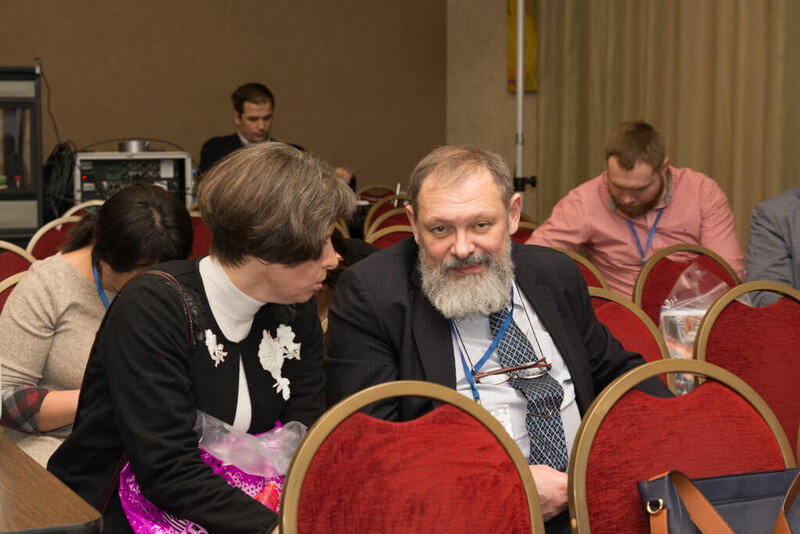 Speaker: Leonid Podobed, PhD in Agriculture, Professor, Chief Research Associate of animal farming, Ukrainian National Academy of Agriculture Sciences. 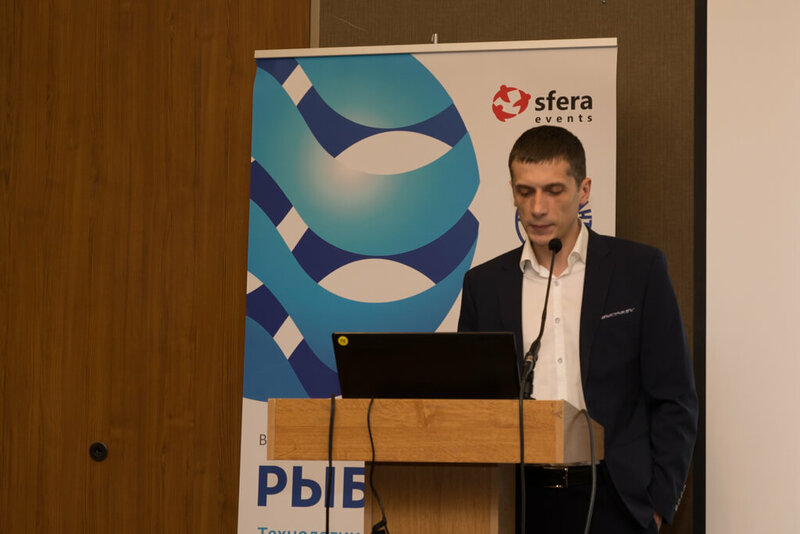 Presentation: Feeding optimization question for valuable species of fish with the use of Russian vegetable protein concentrate. 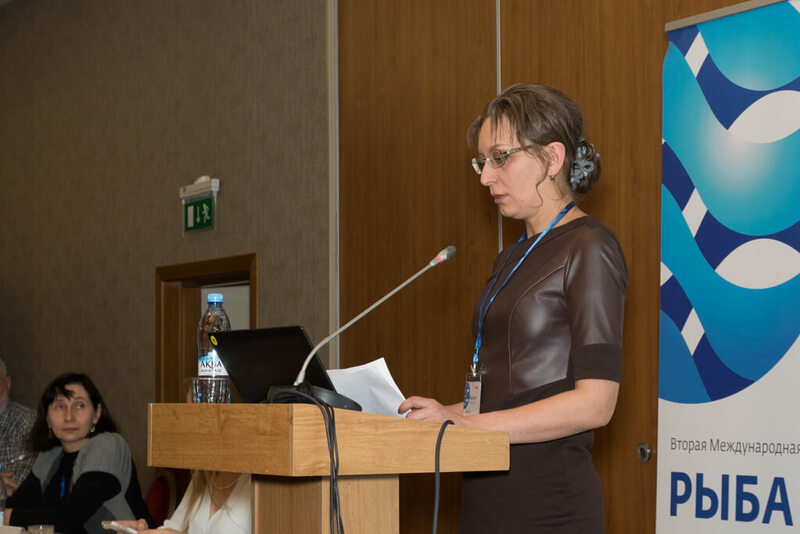 Speaker: Iani Adrian Chihaia, Ph.D., USSEC Consultant. 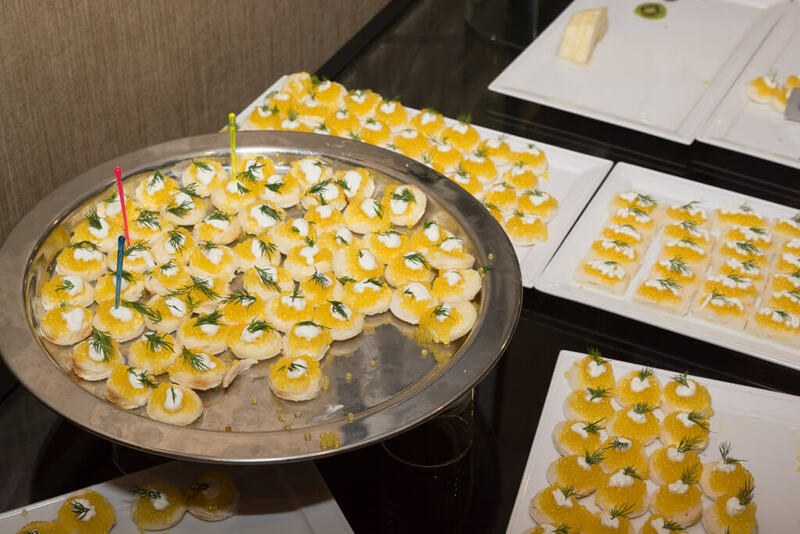 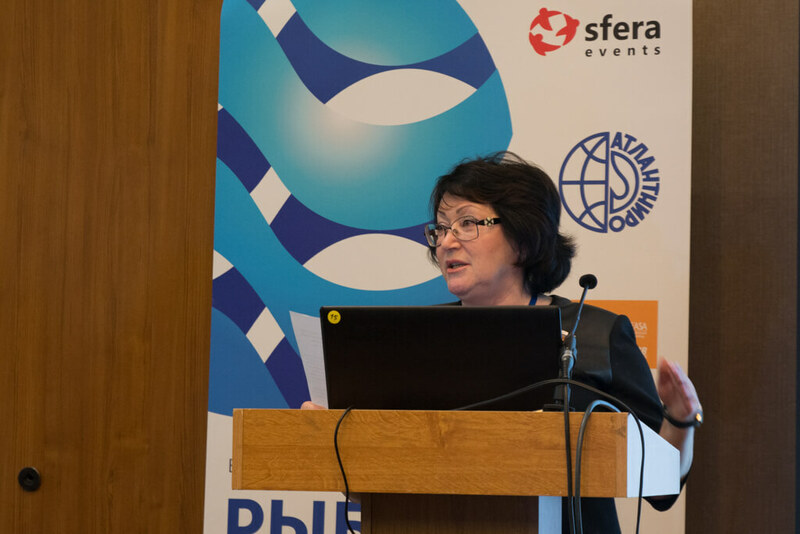 Presentation: Optimize the use of ingredients in Aquaculture Feeds: Understanding nutritional, biological and technological properties for proper application, balancing and manufacturing. 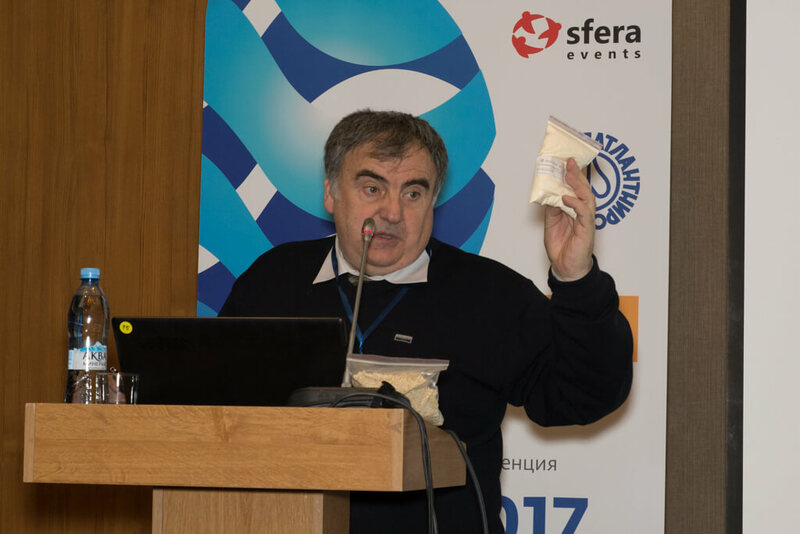 Presentation: Fermentolyser from Baltic sprat as recipe components for European whitefish juveniles first feeds. 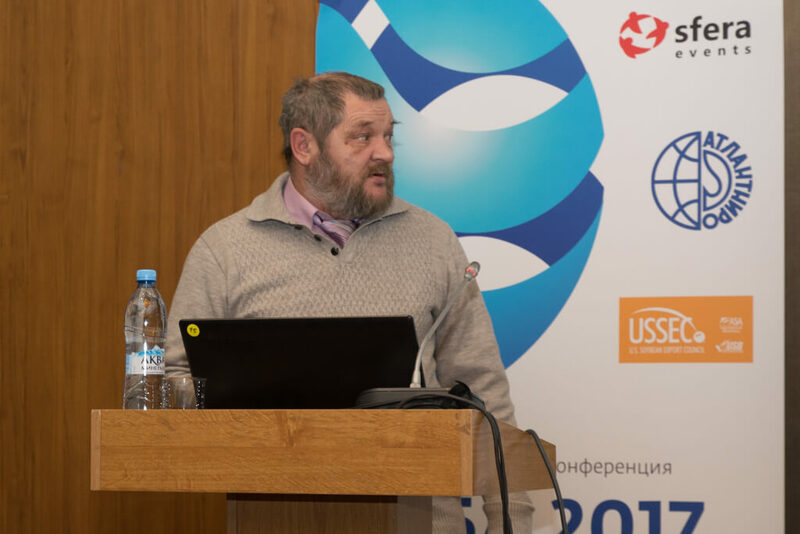 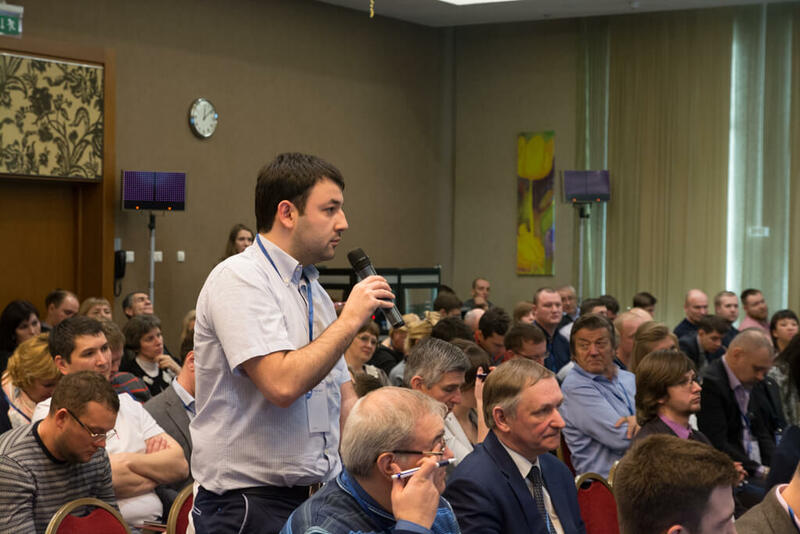 Speaker: Vasiliy Dubov, Merited Russian Fisheries Worker, PhD in Biological Studies, Research Associate of Russian Academy of Sciences South Scientific Centre. 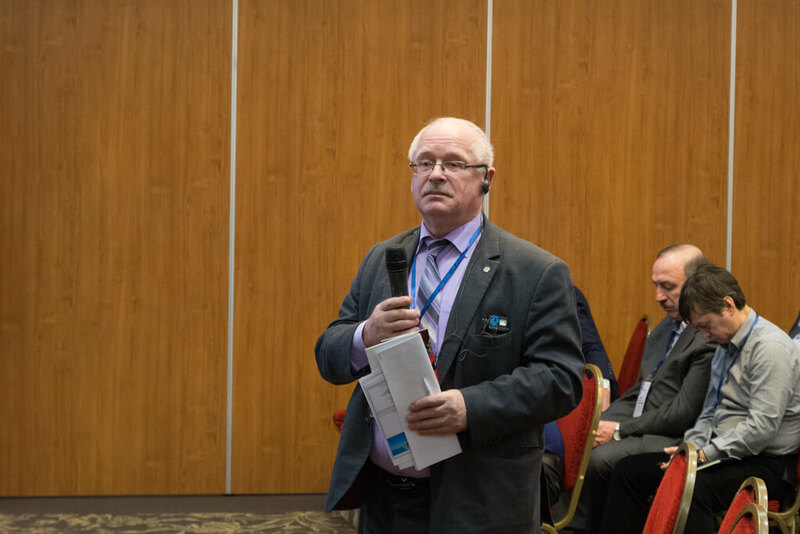 Presentation: A way of creation of sturgeon’s reproductive breeder’ stocks. 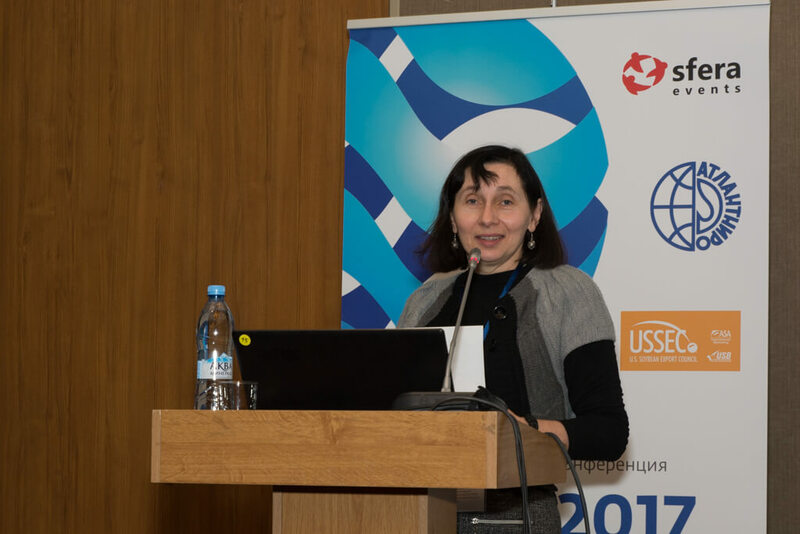 Speaker: Elena Kotova, Advancement Deputy Director, Biomedical Department of Lumex LLC. 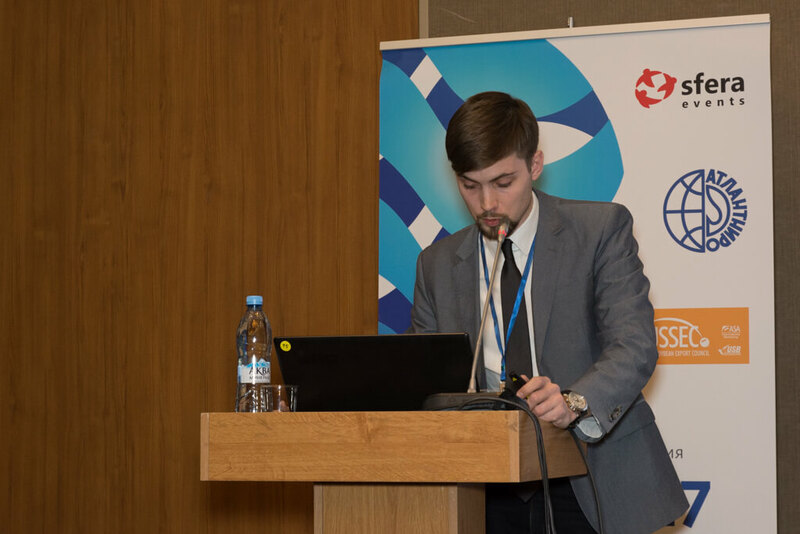 Presentation: Microchip technology of PCR conduction in a real time for express-diagnostics of virus fish diseases. 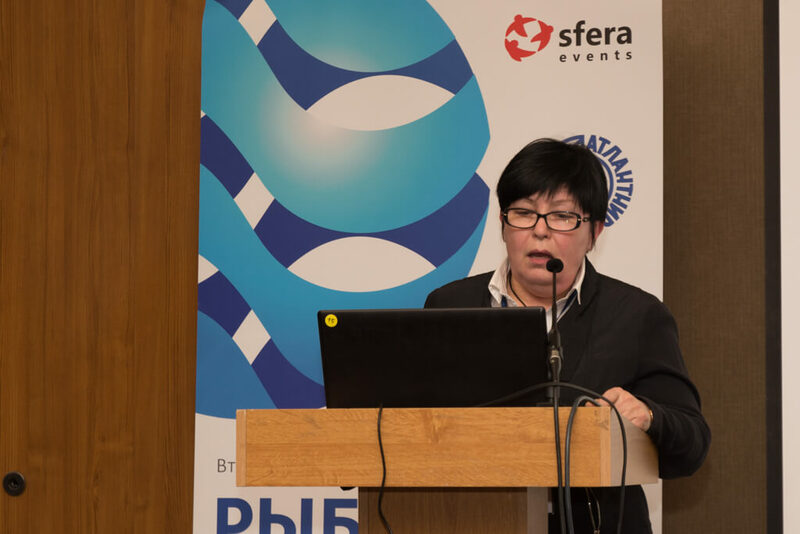 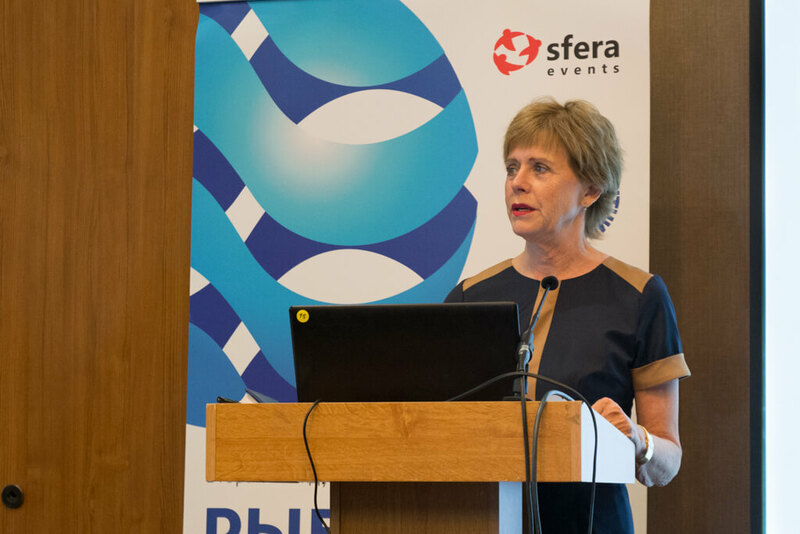 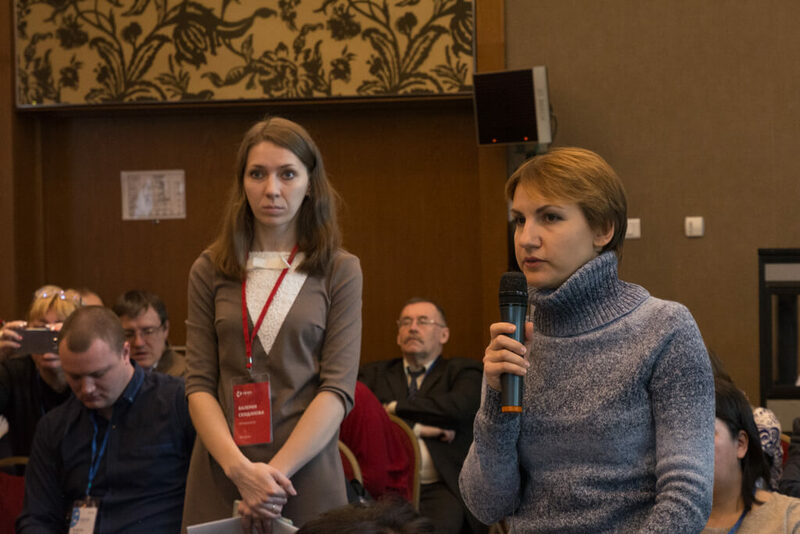 Speaker: Galina Pronina, Leading Research Sssociate, PhD in Biological Studies, Russian Research Institute of Irrigative Fish-Farming, FASO of Russia. 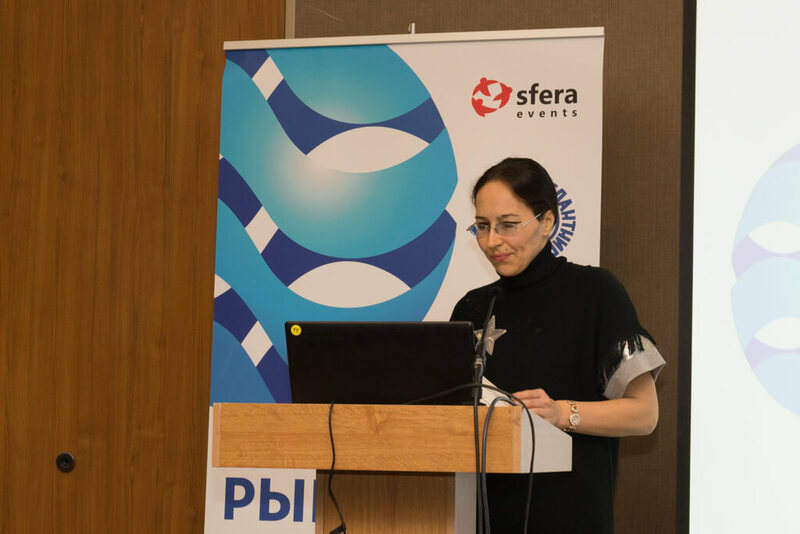 Co-author: Natalia Koryagina, Senior Research Associate in Russian Research Institute of Irrigative Fish-Farming, FASO of Russia, PhD in Biological Studies. 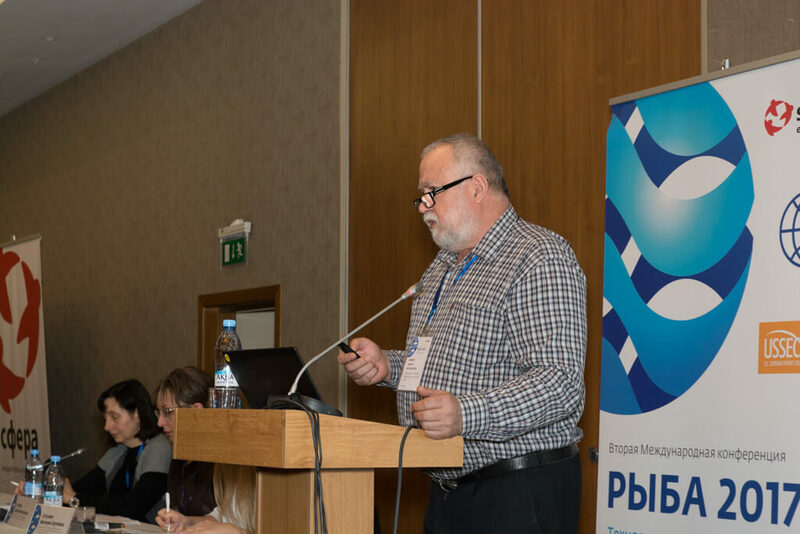 Presentation: Evaluation method system of hydrobionts health condition in aquaculture. 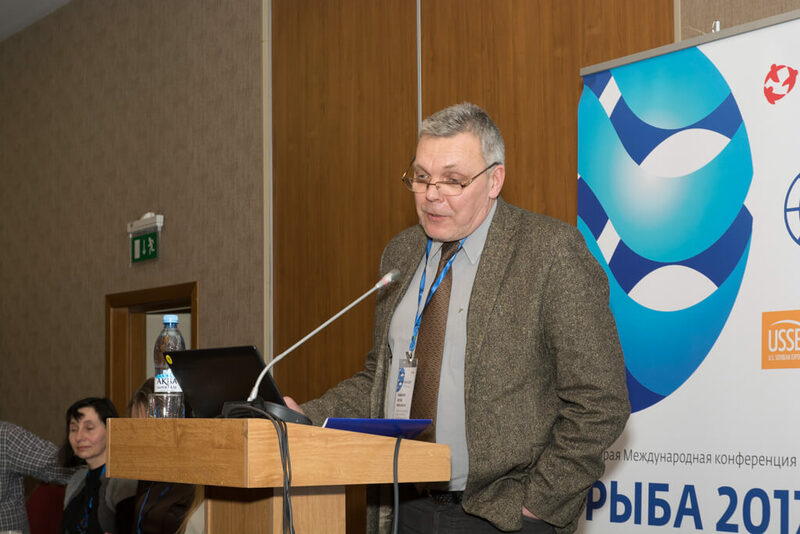 Speaker: Victor Dementiev, Head Of Genetics And Selection Laboratory, PhD in Biological Studies, FSBSI Russian Research Institute Of Freshwater Fisheries. 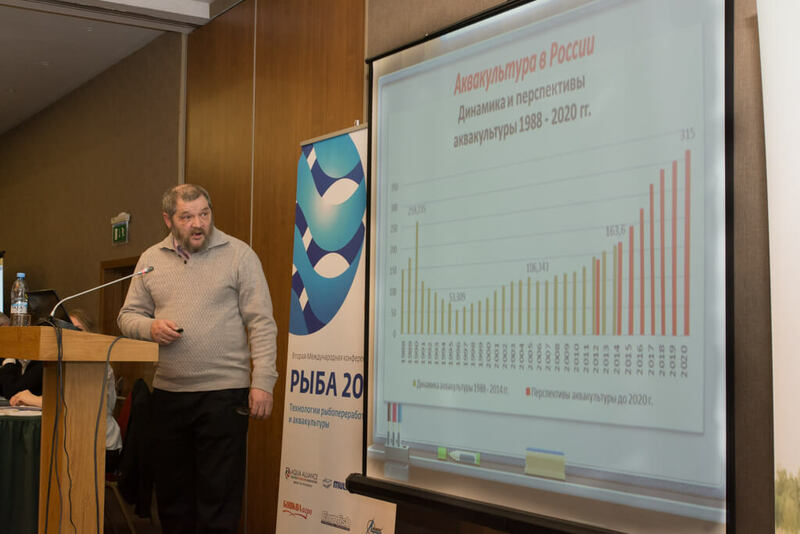 Presentation: Distribution methods of carps pedigree stock of Russian Research Institute Of Freshwater Fisheries Selection. 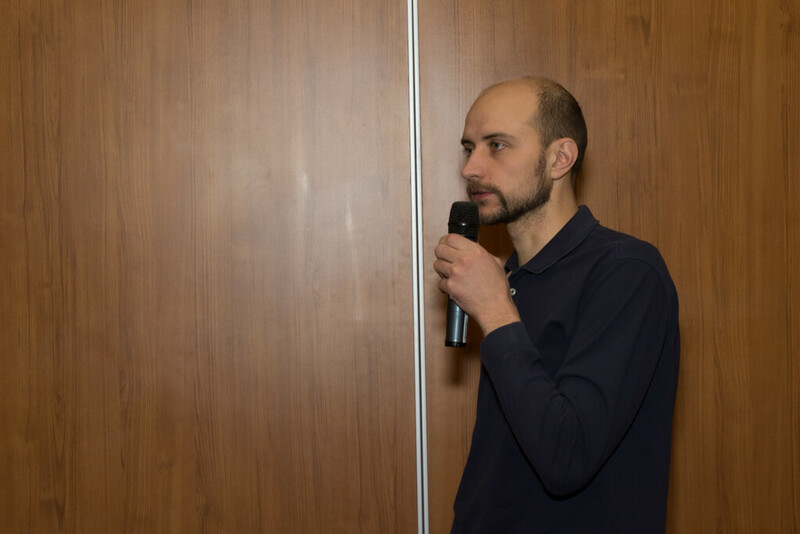 Q&A with speakers. 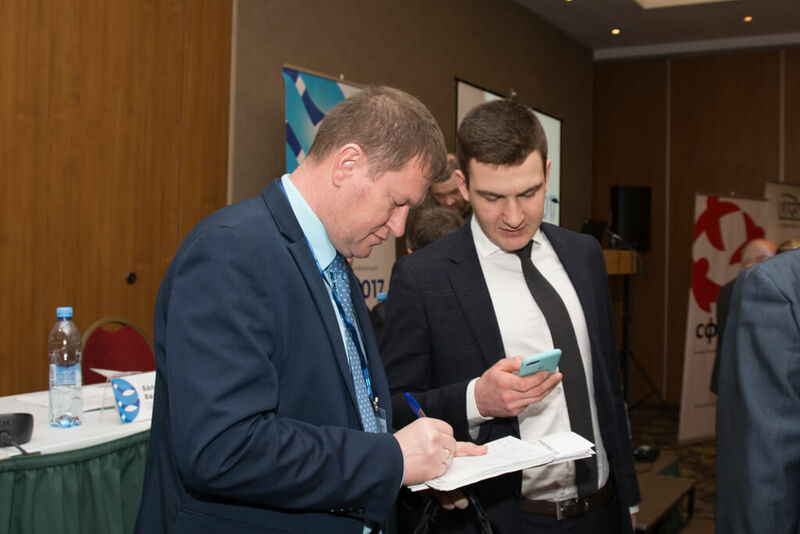 Bonus prize draw among participants.